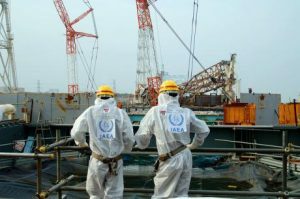 How much effort is the power structure applying in the attempt to keep the US population pacified and complacent on countless fronts? 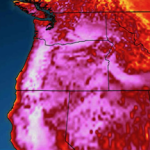 From keeping US food stores stocked with imported supplies produced by starving countries to engineering constant cool-down zones in the US, a sense of “normalcy bias” is being fed and sustained. 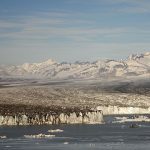 When the rate and extent of biosphere collapse is considered, how long can the current paradigm be maintained? 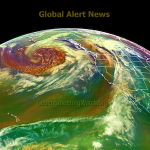 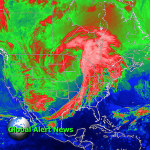 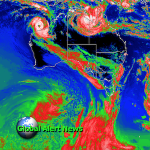 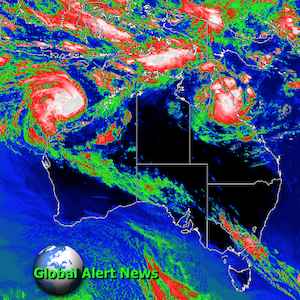 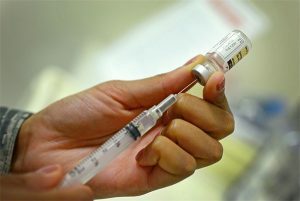 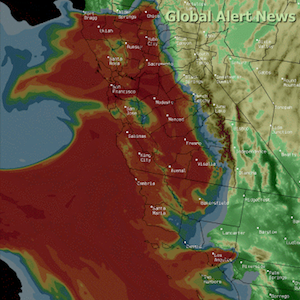 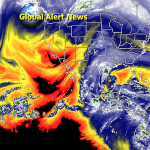 The latest installment of Global Alert News is below. 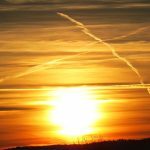 Can populations be convinced to re-prioritize their time, efforts and energies, if they become convinced that their very lives depend on it? 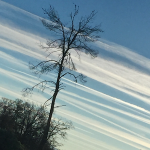 Should fighting for the future of our children, and the web of life on which their futures depend, be a top priority? Does such a question even need to be asked or answered? 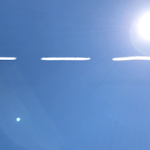 Our combined efforts could yet make a difference, but we must rise to the occasion now, not later. 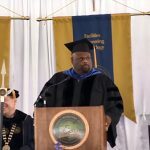 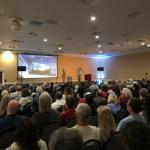 We must reach a critical mass of awareness with the population in regard to what is unfolding, this is the first and most critical leap in the right direction. 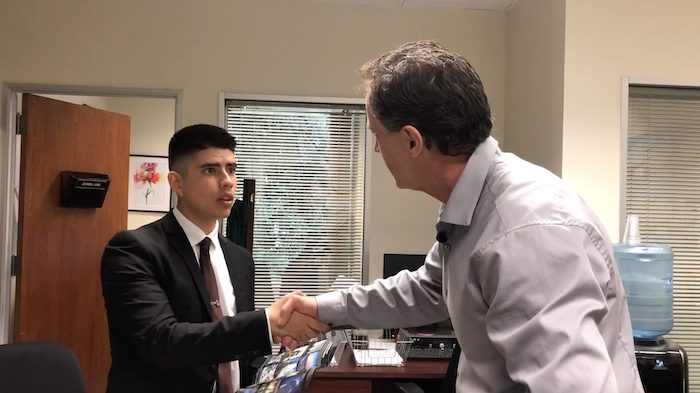 Share credible data from a credible source, make every day count. Geoengineering Watch wishes to express our most sincere gratitude to Maciej Kocialkowski for his tireless work toward raising awareness on the critical issue of climate engineering. The geoengineering awareness booth in the photo below was set up at the Mid County Library in Port Charlotte, Florida (4/6/19). Maciej has also translated GeoengineeringWatch.org flyers into Polish and personally distributed them in his homeland of Poland. 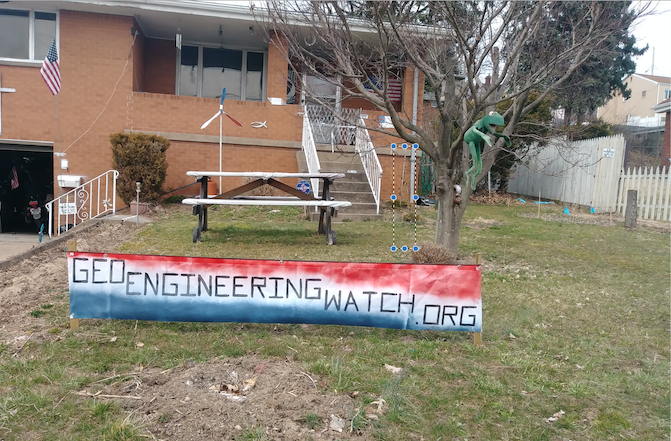 Geoengineering Watch wishes to thank Rich Saporito for his help with raising climate engineering awareness by placing a sign in front of his home. 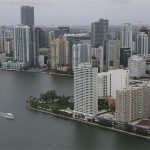 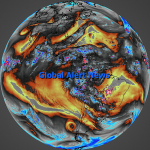 More and more mainstream media sources are now joining the chorus of climate collapse warnings, but their estimates of the time we have left (on the current course) are still far too optimistic. 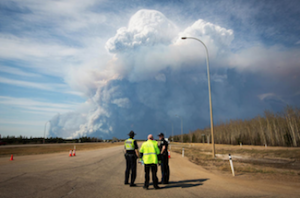 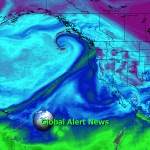 What critical climate factor is still being completely omitted by corporate media sources? 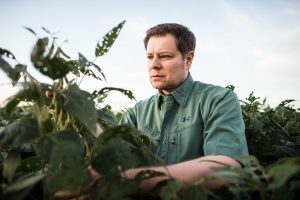 Countless forms of record breaking weather have decimated agriculture and livestock operations around the world. 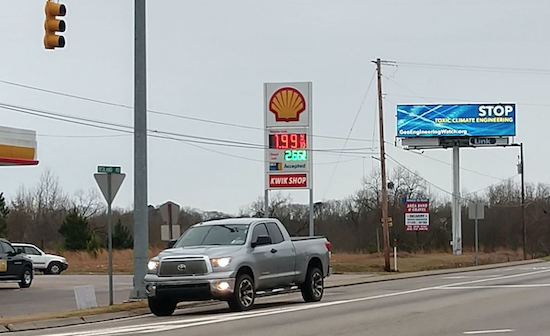 How long till our food prices skyrocket? 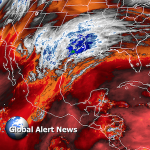 How long till US market food shelves begin to empty out? 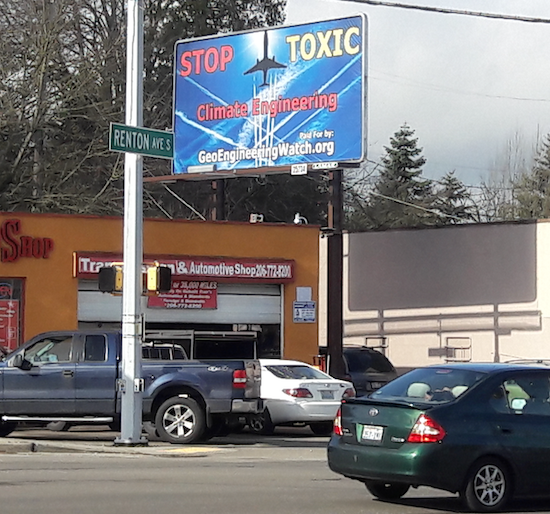 And all the while business continues to get better for those that sell weapons of mass destruction to any and every dictator who can afford them. 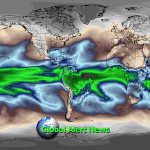 The latest installment of Global Alert News is below. 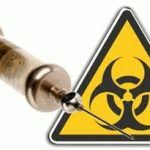 It has historically been human nature for people to ignore dire threats until those threats are upon them. 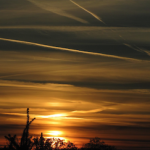 Can enough of the population be awakened in time to make a difference? We cannot know, unless we try. 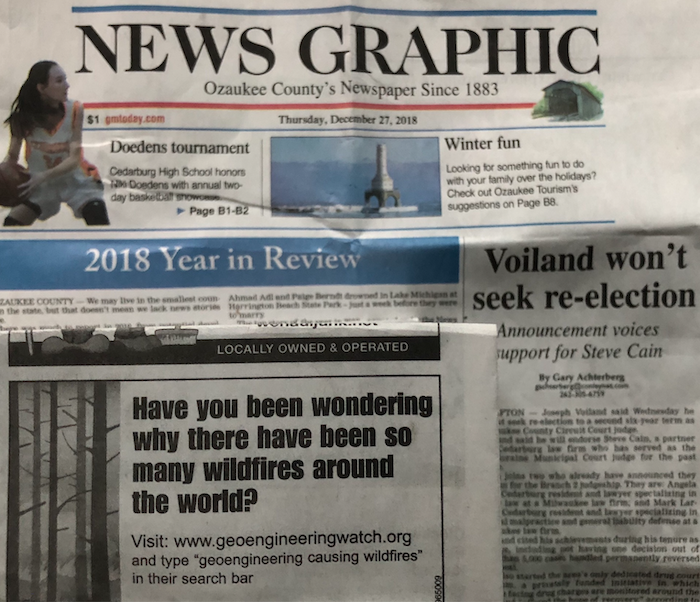 Share credible data from a credible source, make your voice heard, make every day count. 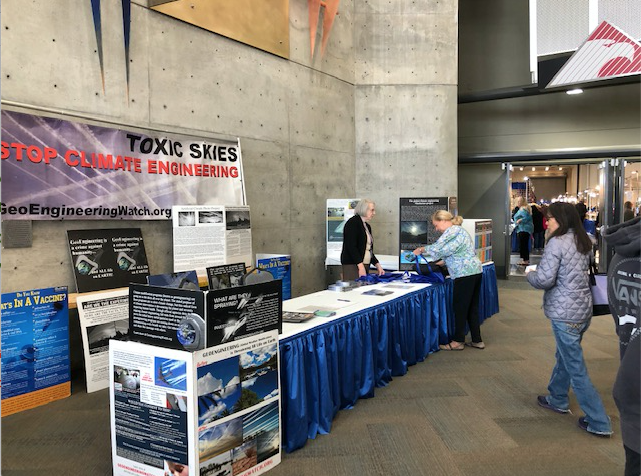 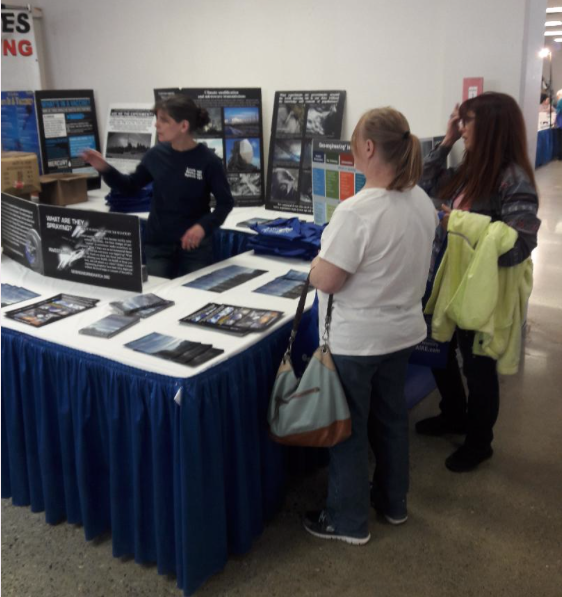 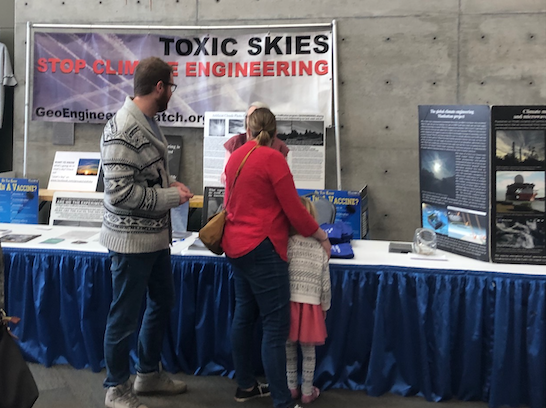 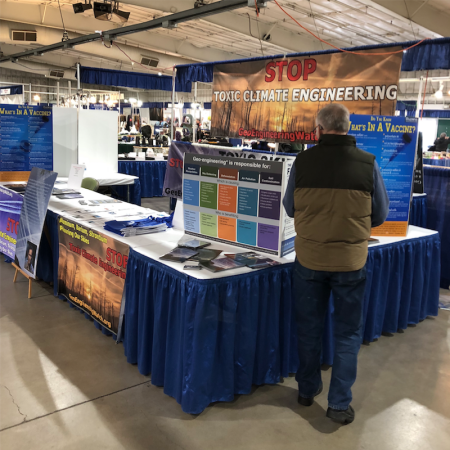 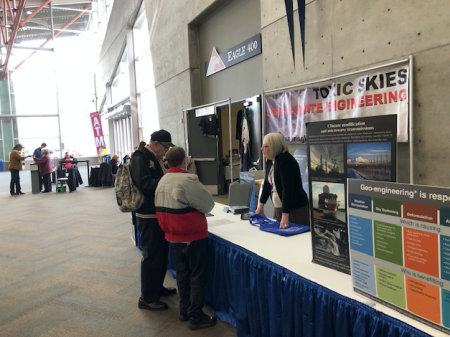 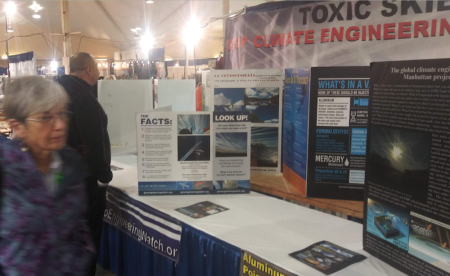 This week's GeoengineeringWatch.org outreach booth is at the Washington State Fair Events Center, Puyallup, Washington, and is shown below. 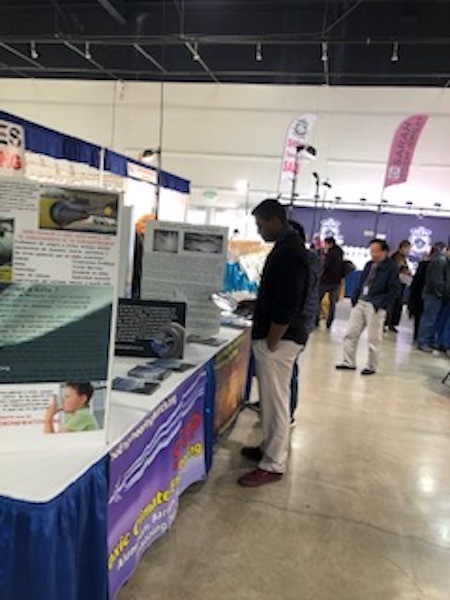 My most sincere and continuing gratitude to the Gem Faire exhibition organizers for facilitating and setting up this very effective booth in every week's Gem Faire location. 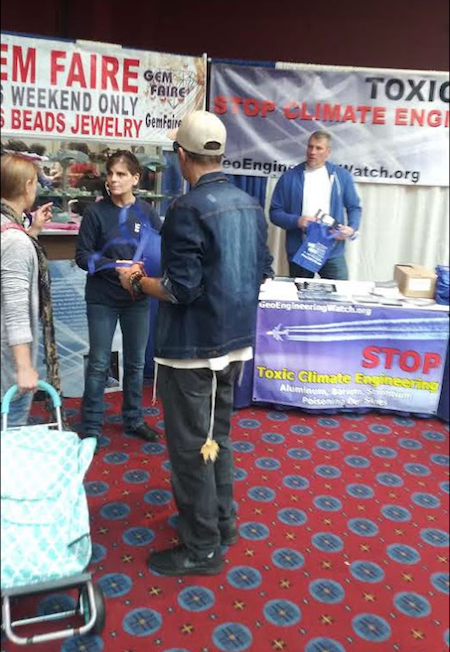 The schedule for upcoming Gem Faire events is HERE. A geoengineeringwatch.org booth will be at all events, thanks to the steadfast support of Gem Faire. 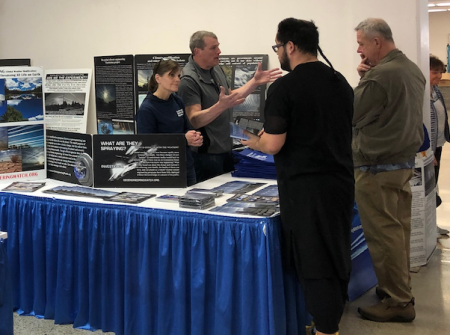 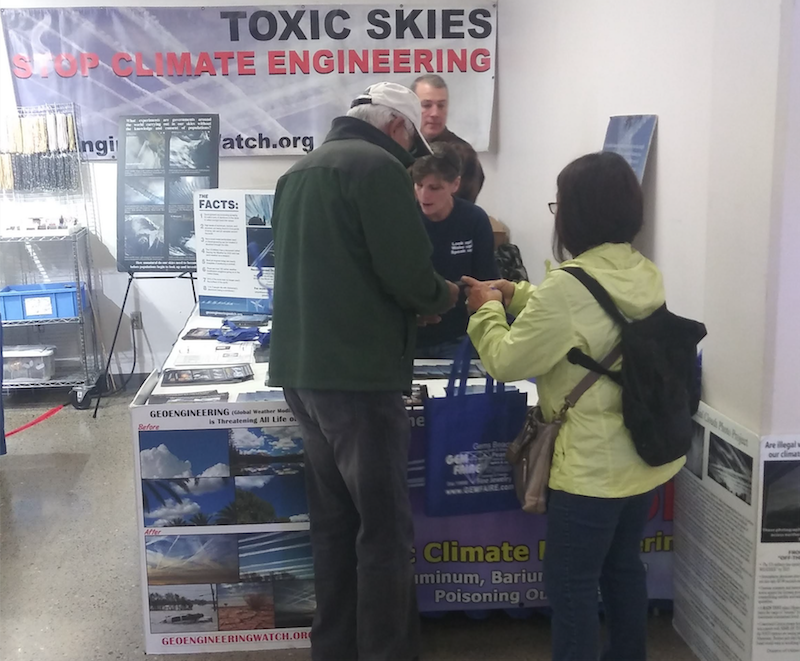 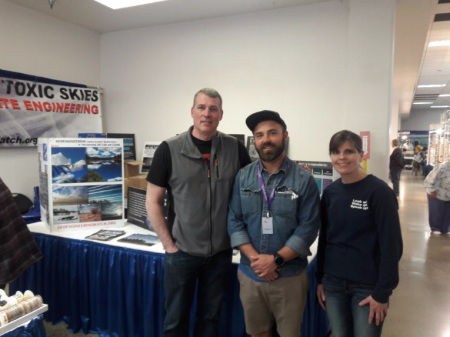 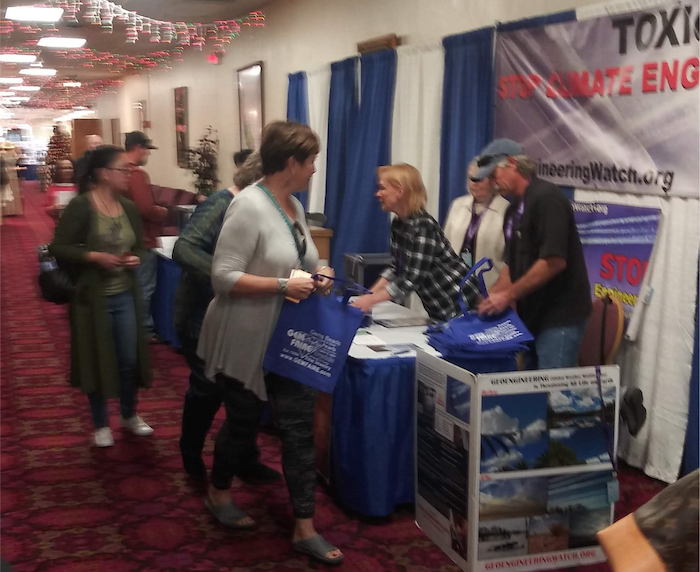 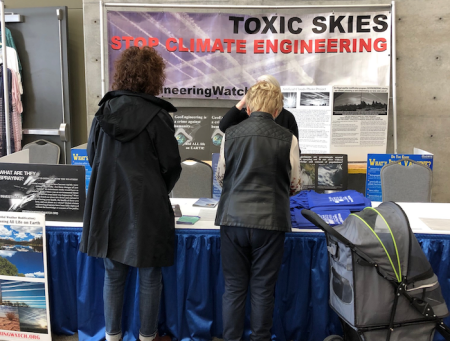 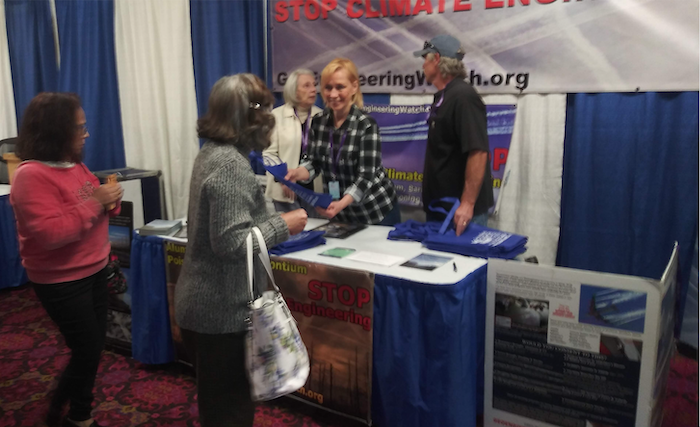 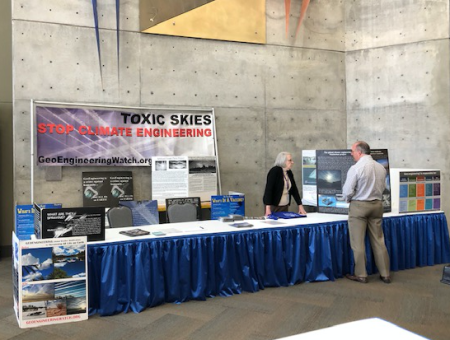 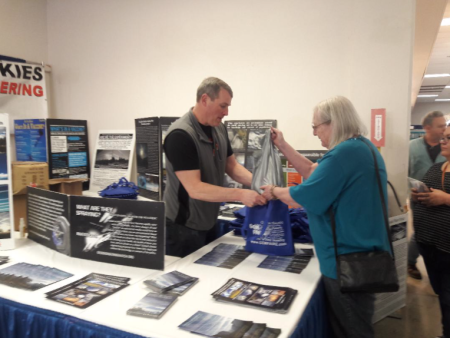 Geoengineering Watch wishes to express our most sincere gratitude to Larry and Kathy Burns for traveling hundreds of miles in order to run the Geoengineering Watch informational booth at the Puyallup Gem Faire event, and other Gem Faire events. 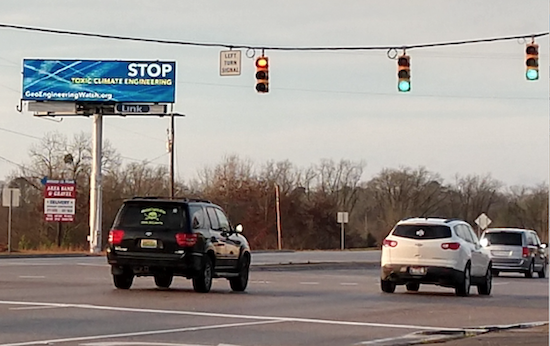 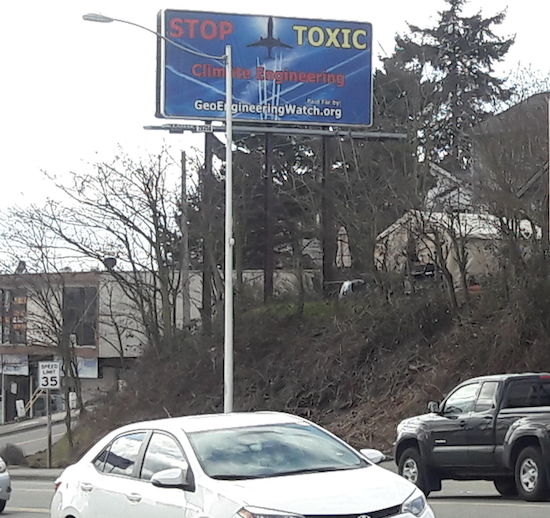 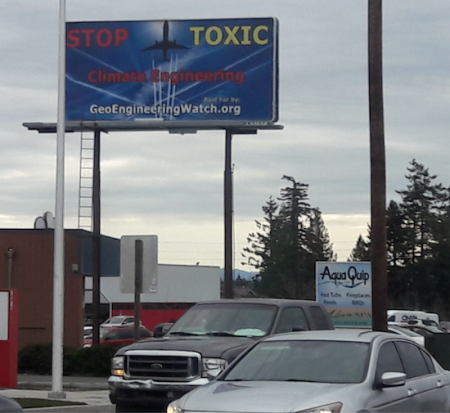 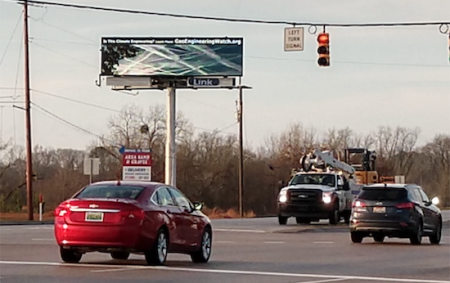 Larry and Kathy have been relentless in their efforts to help sound the alarm on the critical issue of climate engineering, with their latest accomplishment of putting up four GeoengeneeringWatch.org billboards in Washington state. 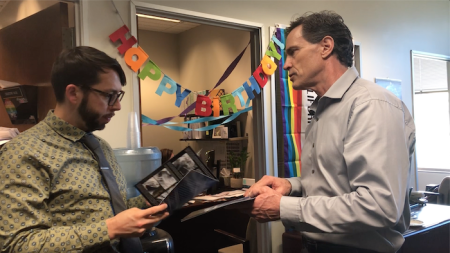 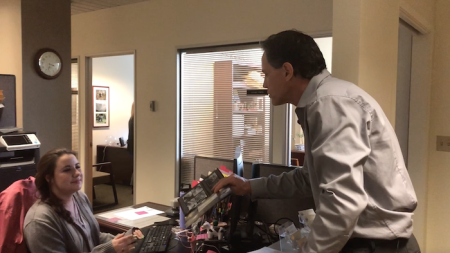 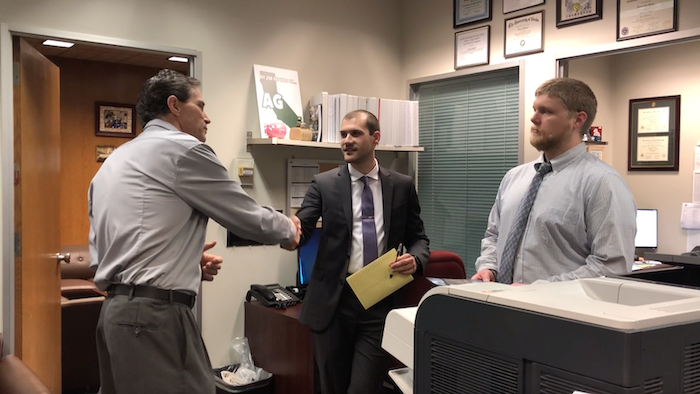 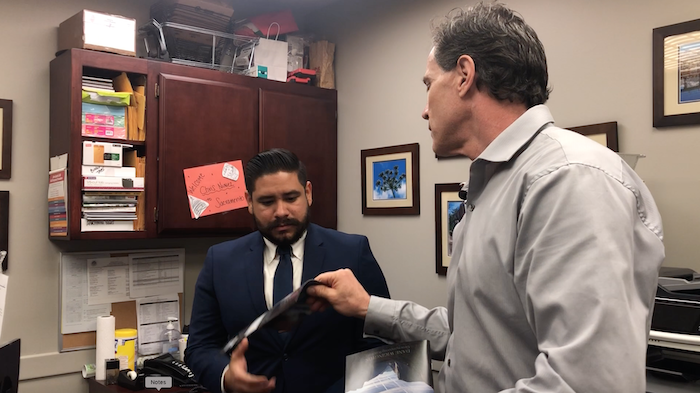 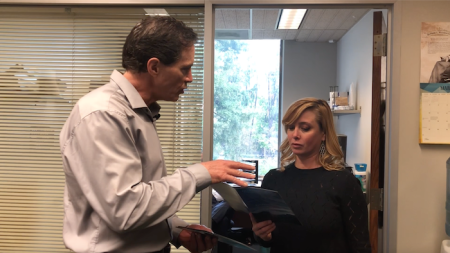 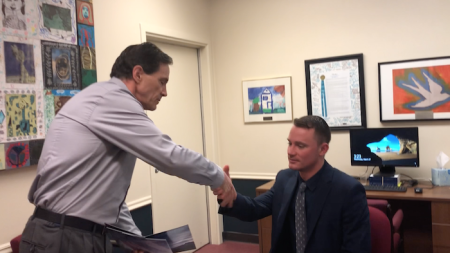 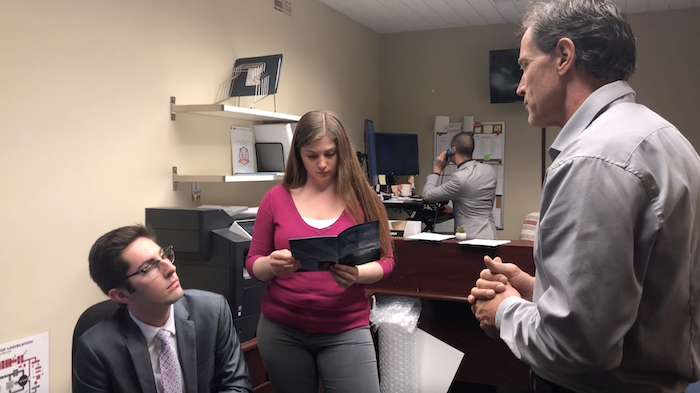 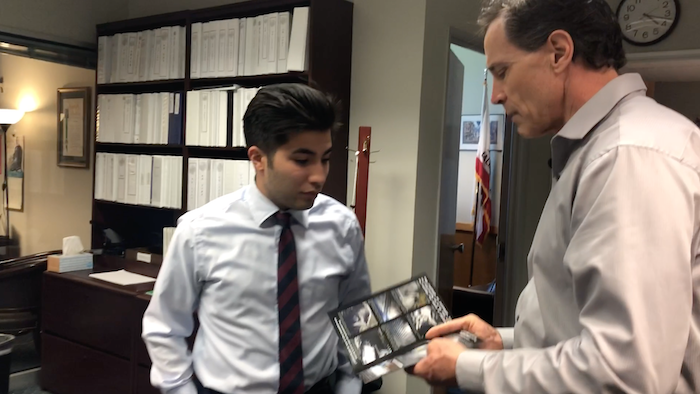 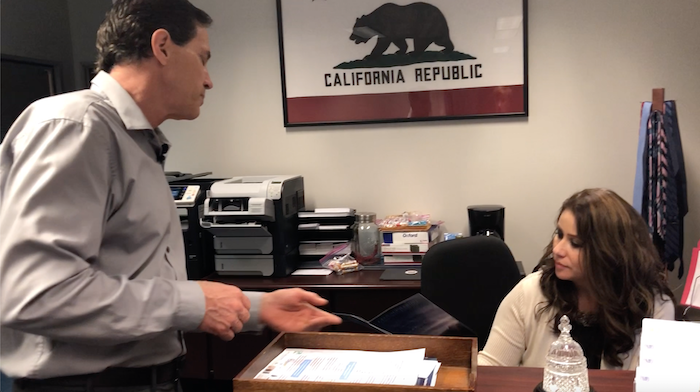 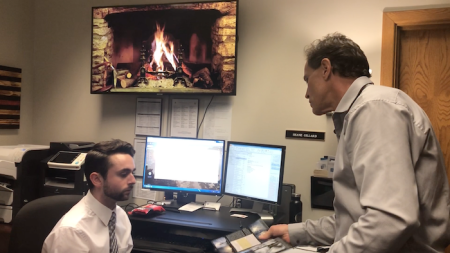 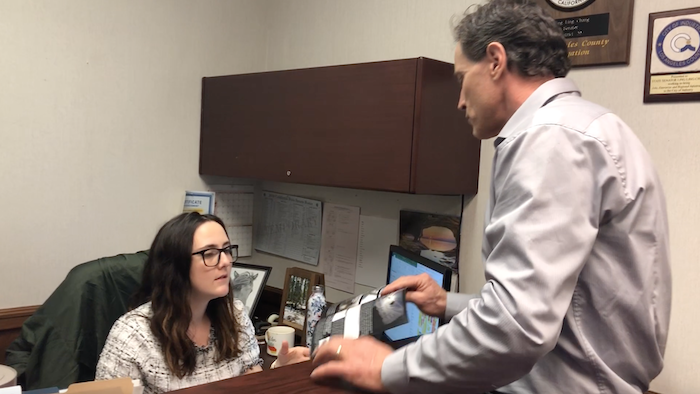 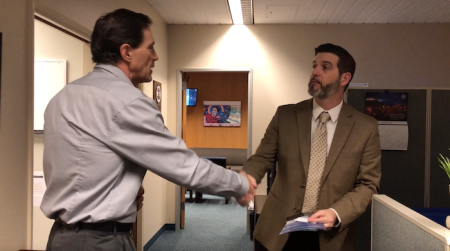 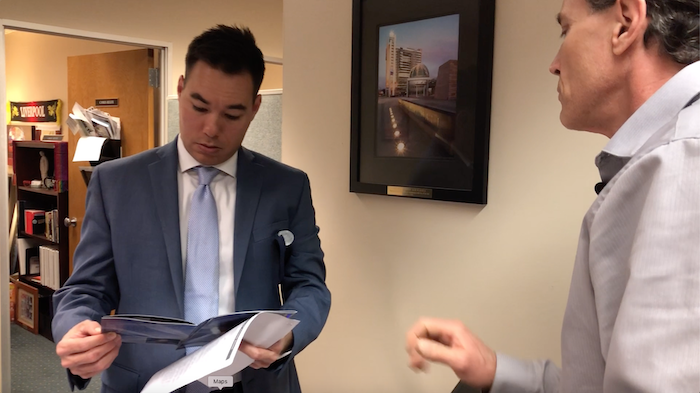 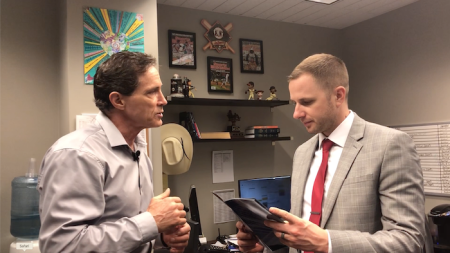 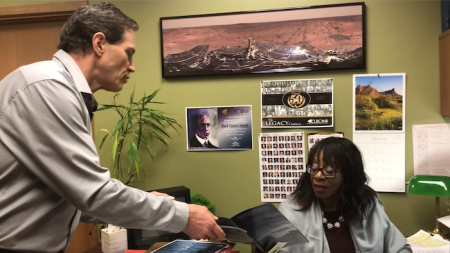 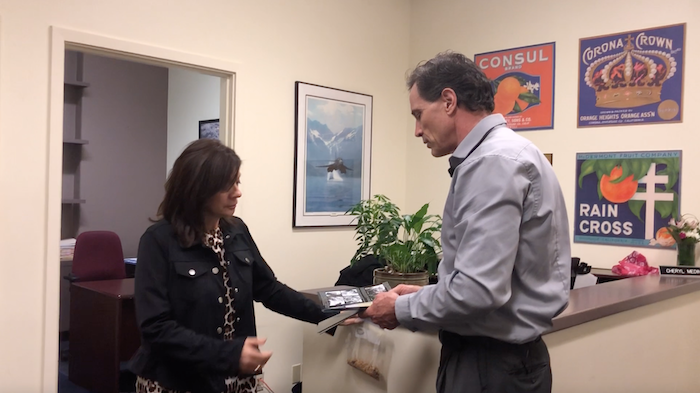 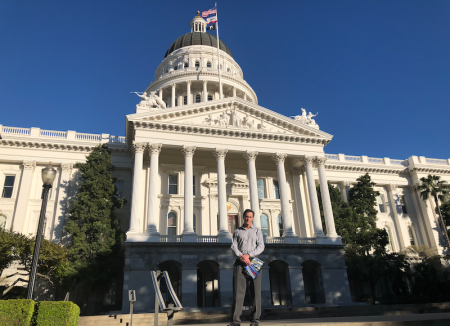 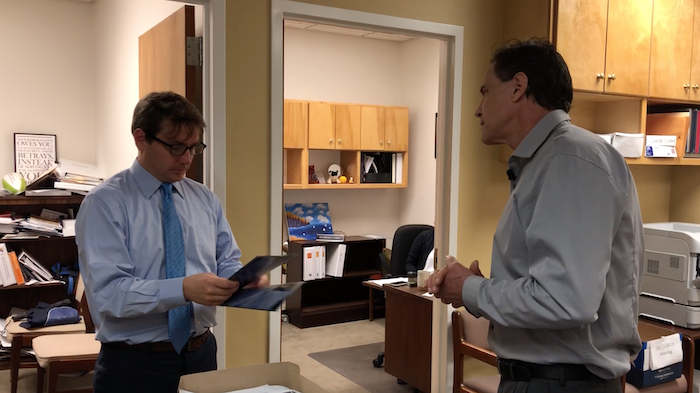 On Wednesday, March 27th, 2019, Dane visited over 70 offices in the California State Capitol in order to share GeoengineeringWatch.org informational materials with the staff of elected officials. 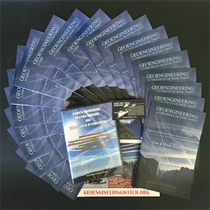 Dane was able to pass along several hundred copies of the GeoengineeringWatch.org fact and photo summary booklets. 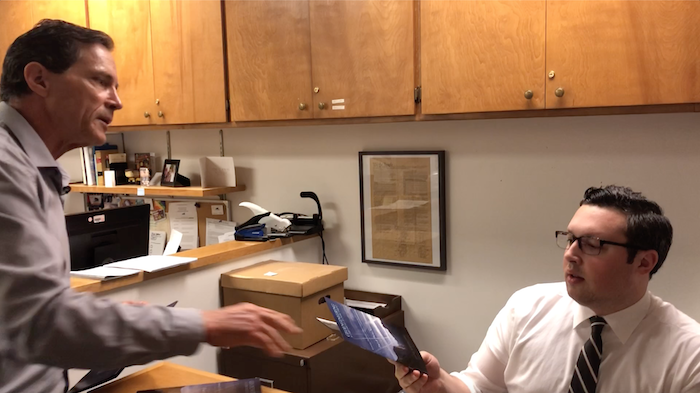 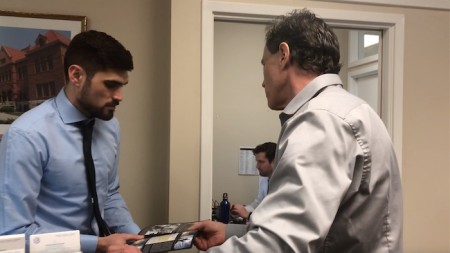 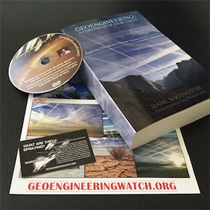 Dane has circulated informational materials at the Capitol many times in the past, but this time the staffers of elected officials were extremely receptive, especially to being given multiple copies of the 20 page Geoengineering Watch booklets. 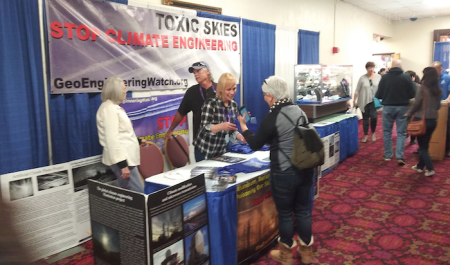 Denial is breaking down as awareness of climate engineering is pushed to the surface. 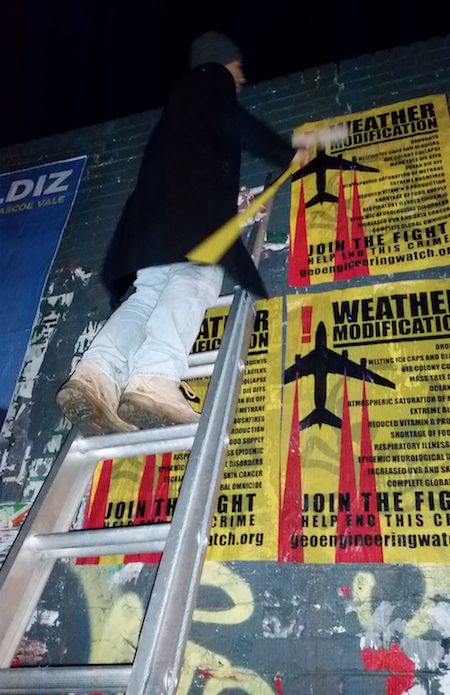 It is our collective efforts that can yet make the difference at this late hour, never give up. 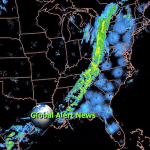 The clock continues to tick toward midnight on Earth, but the great awakening may finally be picking up momentum. 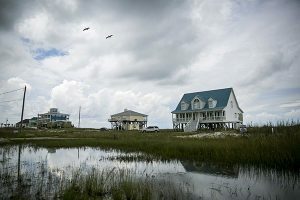 Can our collective efforts to wake populations tilt the scale in time to salvage what is yet left of the natural world? 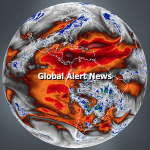 The latest installment of Global Alert News is below. 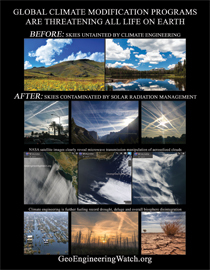 The paradigm that has been will soon be no more. 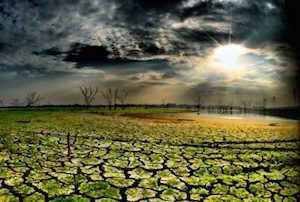 What is left or not may yet depend on our combined efforts to turn the tide. 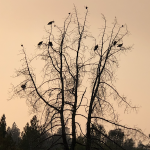 Waking populations up to what is unfolding is the first and most critical leap in the right direction. 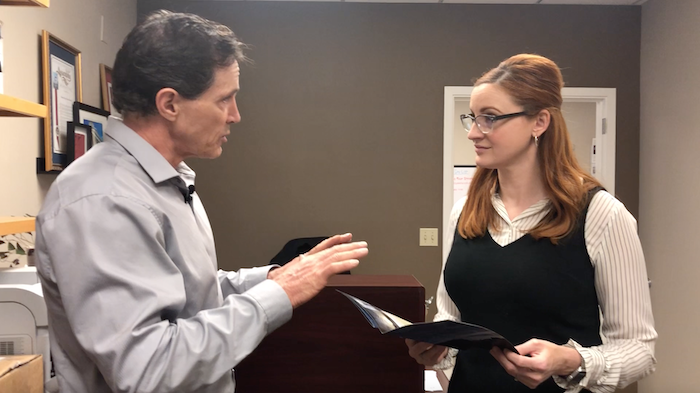 Make your voice heard, share credible data from a credible source, make every day count. 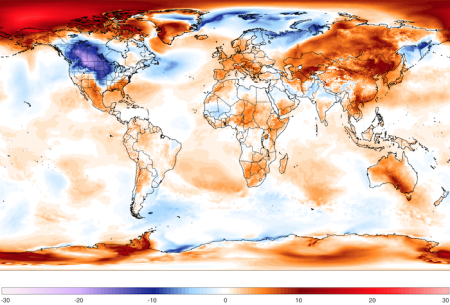 The human race is continuing its collective journey into completely uncharted territory. 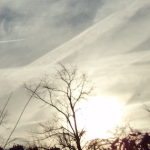 Even now, so few are yet aware of or are yet willing to face what is unfolding. 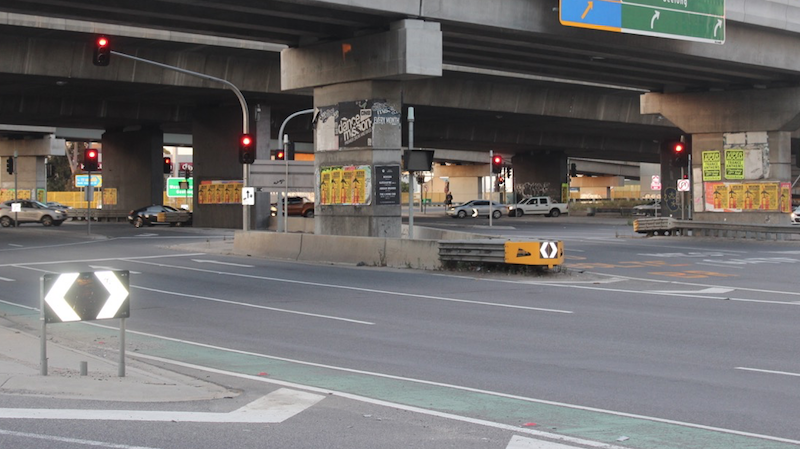 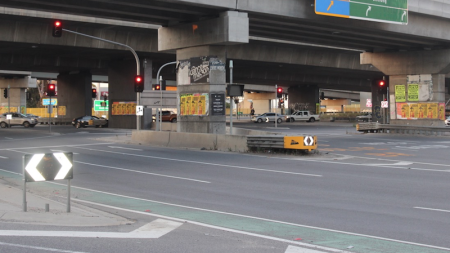 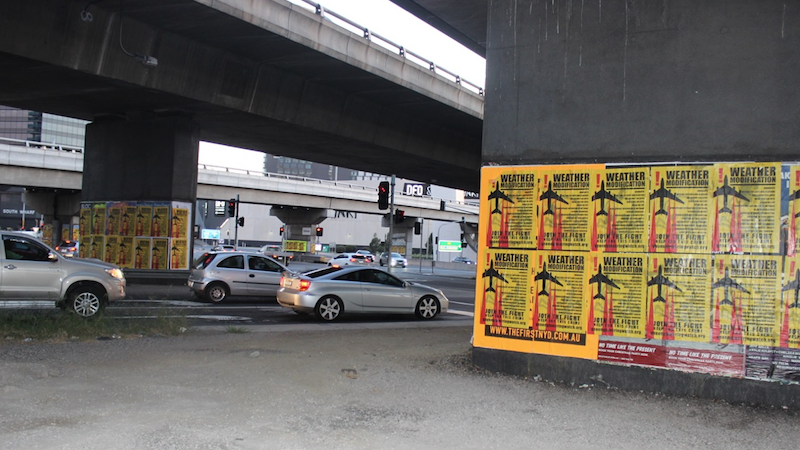 The tragic event in New Zealand has provided the power structure with a means of temporarily distracting populations from their ever more blatant crimes. Was there more to the recent airline crash than we have been told? 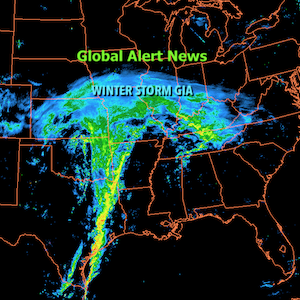 The gathering storm will not seem real to most until it hits. 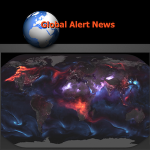 The latest installment of Global Alert News is below. Though the horizon continues to darken, now more than ever our collective efforts to sound the alarm matters. 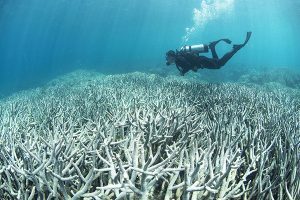 The sooner populations are awakened and mobilized to face what is unfolding, the more we may yet have to salvage of our planet's life support systems. 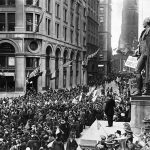 The battle to turn the tide of insanity has been incredibly long and arduous, but now more than ever we need to maintain our course. 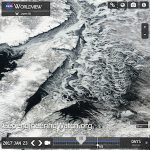 Share credible data from a credible source, make you voice heard. 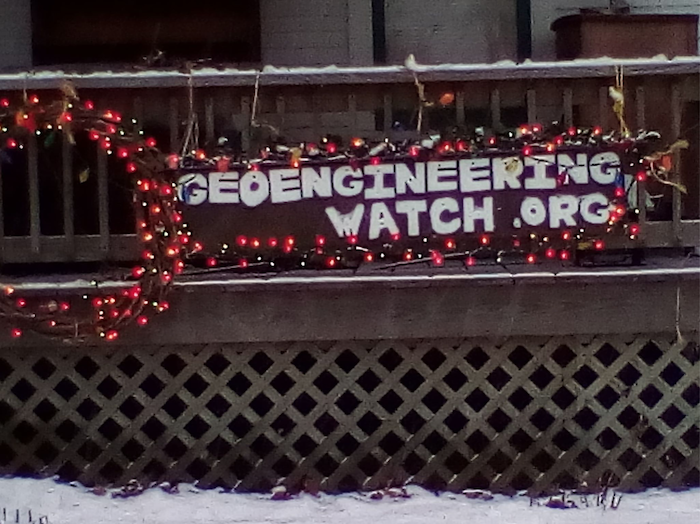 Geoengineering Watch wishes to thank Aaron Coomer for his efforts to sound the alarm in Lebanon, Ohio. 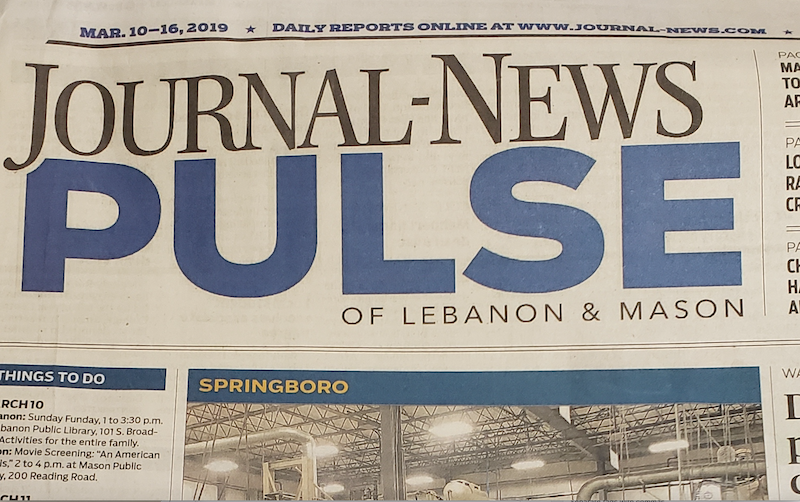 The newspaper ad shown was placed by Aaron in the Journal-News Pulse for the March 10th through 16th edition. 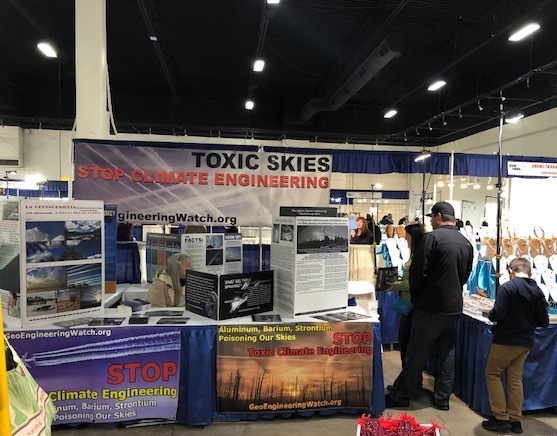 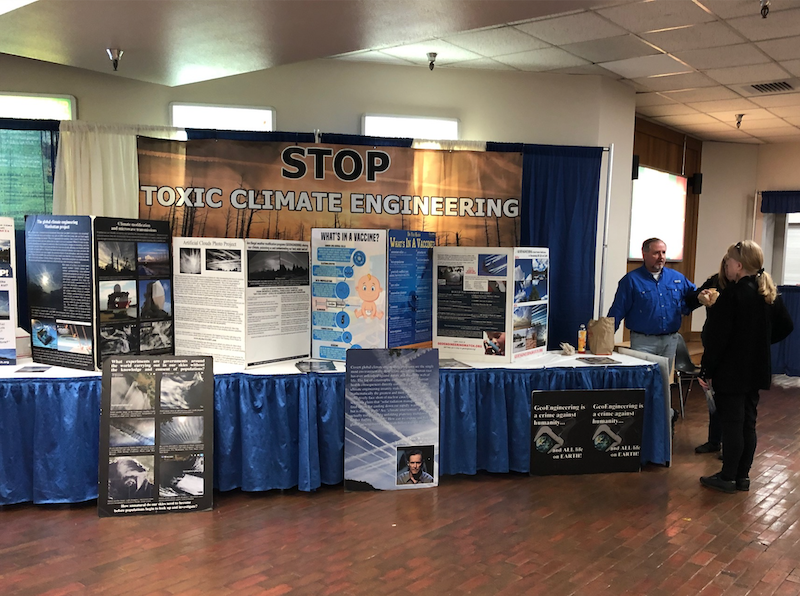 This week's GeoengineeringWatch.org outreach booth is at the Reno-Sparks Livestock Events Center, Reno, Nevada, and is shown below. 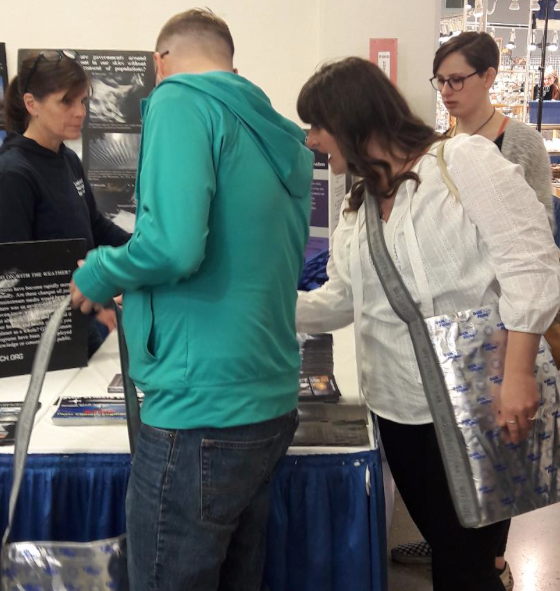 My most sincere and continuing gratitude to the Gem Faire exhibition organizers for facilitating and setting up this very effective booth in every week's Gem Faire location. The schedule for upcoming Gem Faire events is HERE. 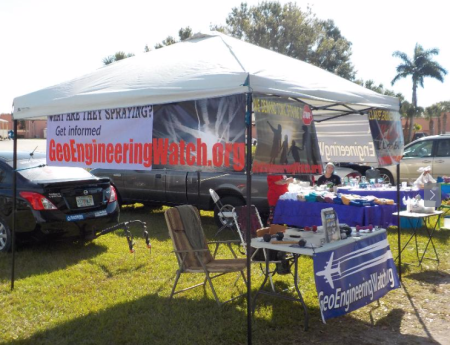 A geoengineeringwatch.org booth will be at all events, thanks to the steadfast support of Gem Faire. 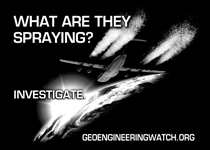 Climate engineering operations will not stop on their own, it is up to us to accomplish this task. 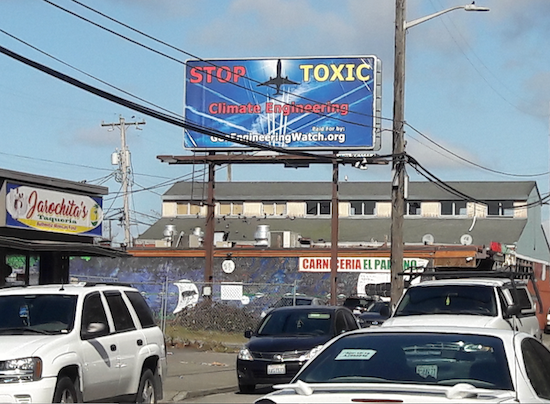 Only by reaching a critical mass of awareness do we have any chance of turning the tide. 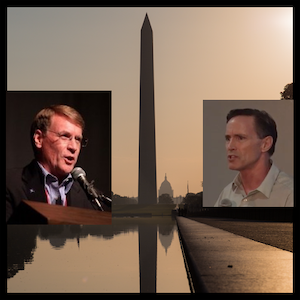 Share credible data from a credible source, make every day count, make your voice heard. 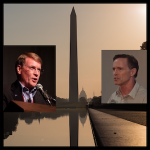 What are the most critical threats we collectively face? 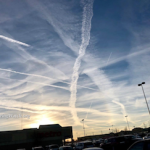 If we cannot breath without inhaling the highly toxic heavy metal and chemical fallout from the covert climate engineering assault, how long can we possibly expect to retain our health? 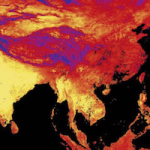 How long can the environment survive under such conditions? 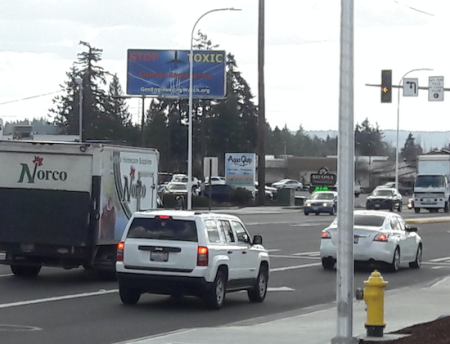 How many are now willing to reconsider their priorities? 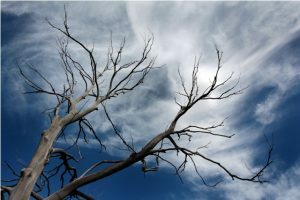 What acts of desperation can we expect from the tyrannical halls of power? 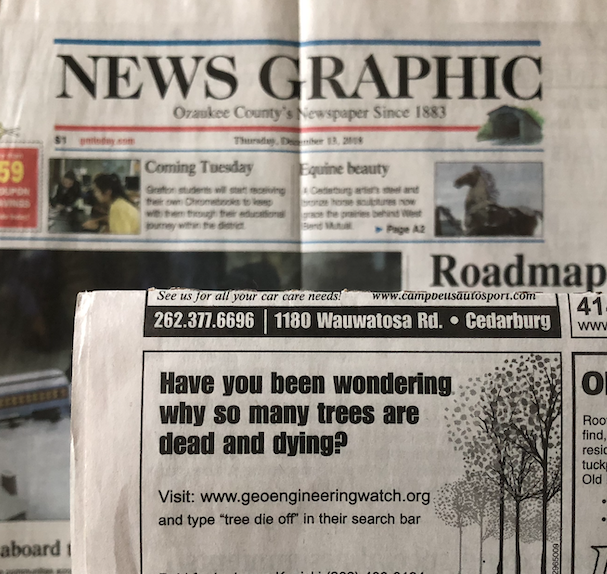 Where do we go from here? 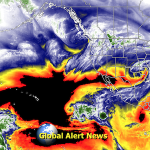 The latest installment of Global Alert News is below. 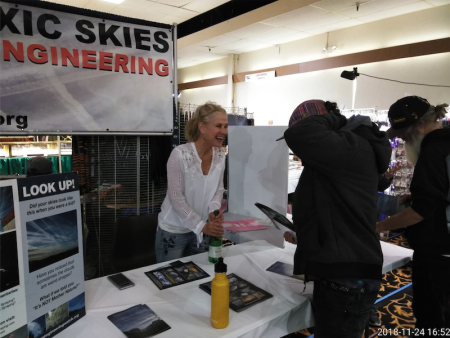 In a long and arduous journey, like the fight to expose and halt climate engineering, battle fatigue becomes a factor. 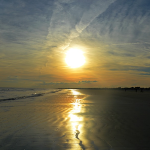 The challenges we face can seem overwhelming, but if we can summon the strength to continue our march forward one day at a time, we may yet accomplish profound good even at this late hour. 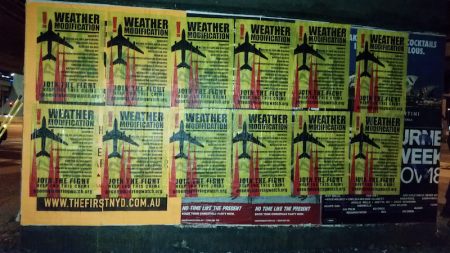 Waking the masses to what is unfolding is essential. Make your voice heard, share credible data from a credible source, all of us are needed in this critical battle to sound the alarm. 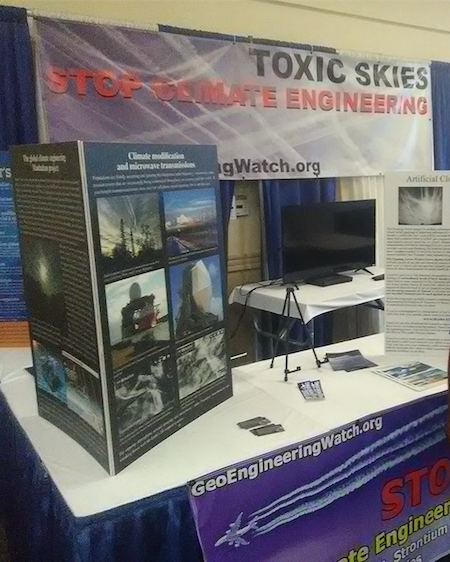 Geoengineering Watch wishes to express our most sincere gratitude to Maciej Kocialkowski for his tireless work toward raising awareness on the critical issue of climate engineering. 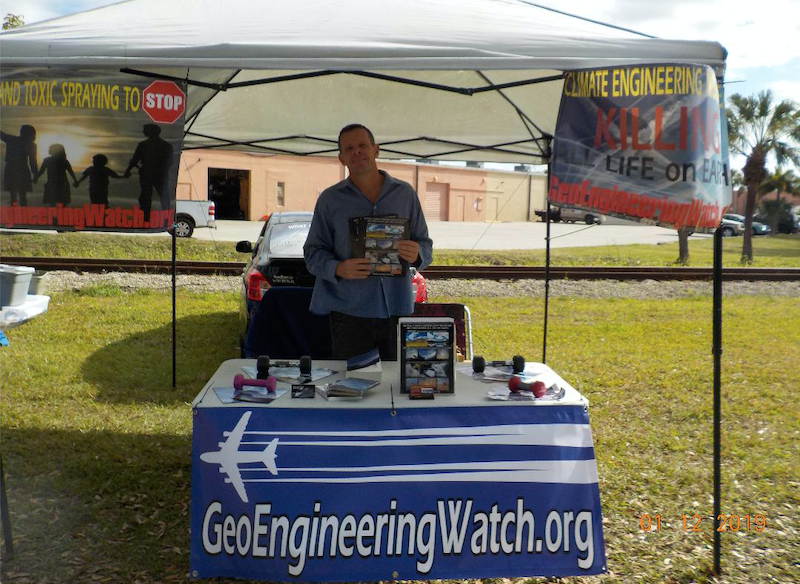 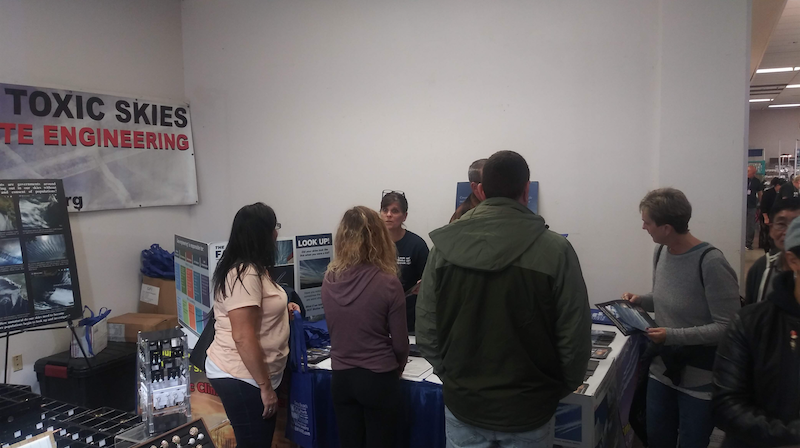 The geoengineering awareness booth in the photos below was set up at the Historical Train Depot farmers market in Punta Gorda, Florida (3/9/19). 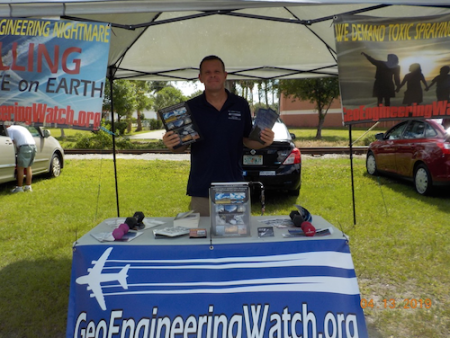 Maciej has also translated GeoengineeringWatch.org flyers into Polish and personally distributed them in his homeland of Poland. 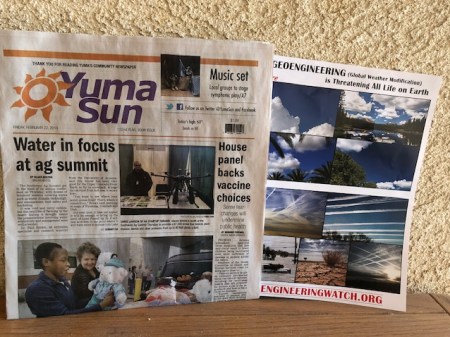 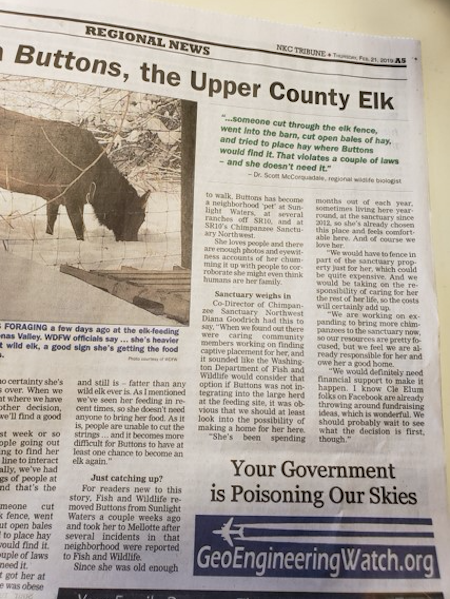 13,000 GeoengineeringWatch.org color glossy 2 sided informational flyers were recently inserted into the entire circulation of the Yuma Daily Sun newspaper in Yuma, Arizona, on February 22nd, 2019. Geoengineering Watch wishes to express our most sincere thanks to Barbara Kirkpatrick for spearheading this very important effort. 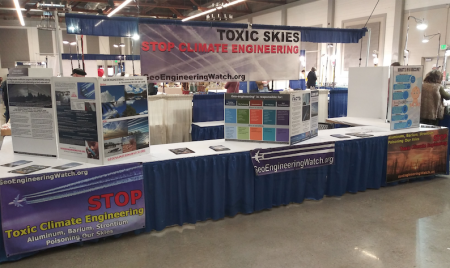 This week's GeoengineeringWatch.org outreach booth is at the Alameda County Fairgrounds, Pleasanton, California, and is shown below. 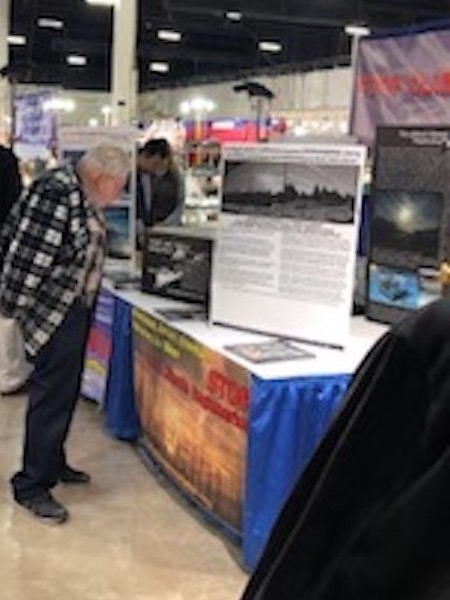 My most sincere and continuing gratitude to the Gem Faire exhibition organizers for facilitating and setting up this very effective booth in every week's Gem Faire location. 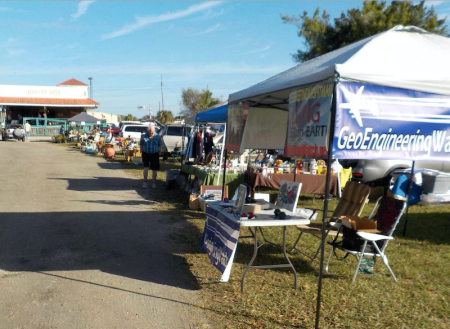 The schedule for upcoming Gem Faire events is HERE. 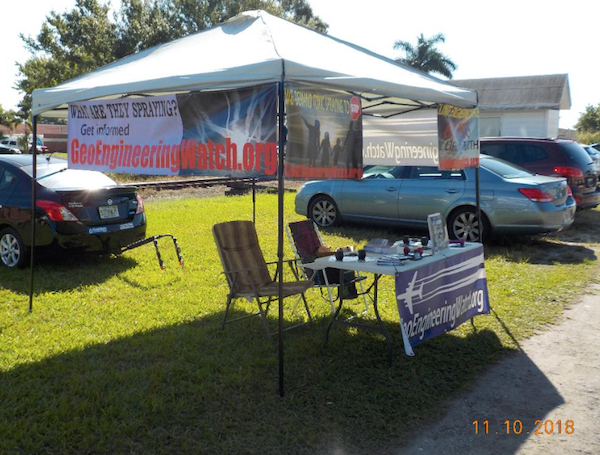 A geoengineeringwatch.org booth will be at all events, thanks to the steadfast support of Gem Faire. 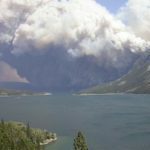 Our world continues to change at a pace that exponentially exceeds anything ever documented in the entire history of the planet. 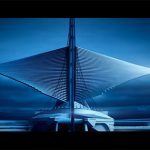 Completely unsustainable artificial realities are keeping huge segments of population pacified for the moment, even while the rumors of global conflict grow. 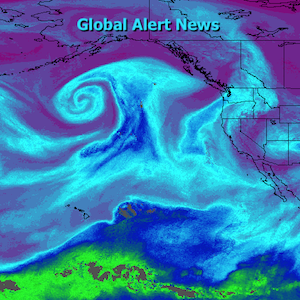 What is unfolding won’t seem real until it is. The latest installment of Global Alert News is below. Engineering winter weather is one of the primary objectives for the geoengineers. 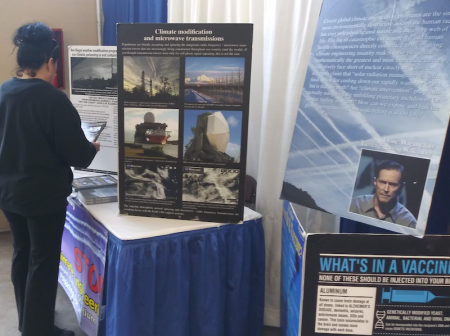 By manipulating upper level wind currents and with patented processes of chemical ice nucleation for weather modification, the climate engineers are (and have been) cooling down the most populated regions of the US (backed by the most massive military industrial complex on the planet). 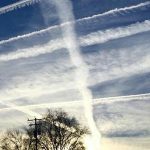 This process fuels the continued confusion and division of the population in regard to the true state of the global climate. 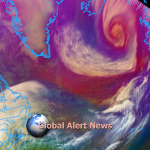 Much of the cooler air is, in essence, robbed from the Arctic by jet stream manipulation via ionosphere heater installations. 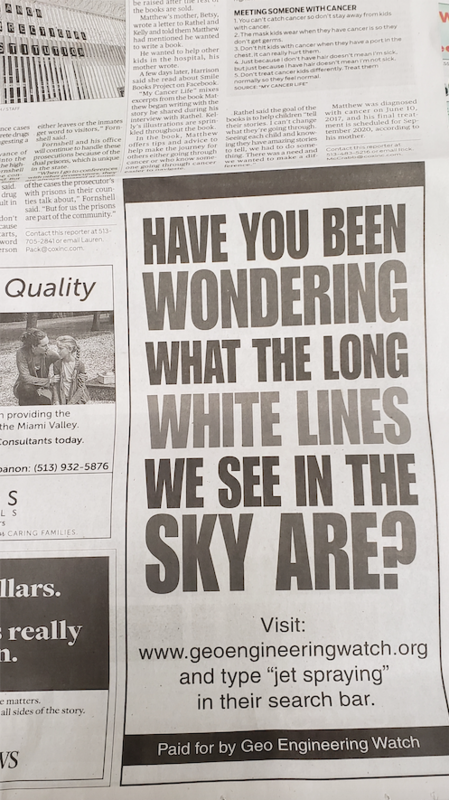 What happens then? 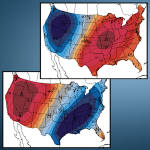 The most recent departure from normal high temperature map below paints a clear picture. 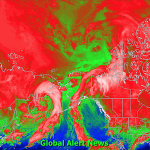 The total meltdown of the Arctic accelerates, as does the mass methane releases occurring there from the increased heat buildup. 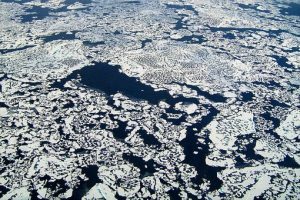 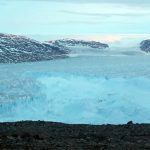 If enough formerly frozen methane hydrate deposits release into the atmosphere, it will very soon be game over. This is not to blame all of our challenges on climate engineering, but mathematically speaking, it is the single greatest climate disrupting factor at this time. 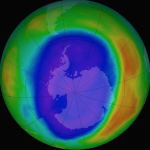 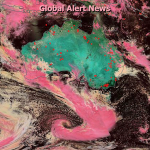 The dark red zones on the polar regions are a harbinger of a very grave future for us all (and then there is the collapsing ozone layer to consider, in which climate engineering is also a primary causal factor). 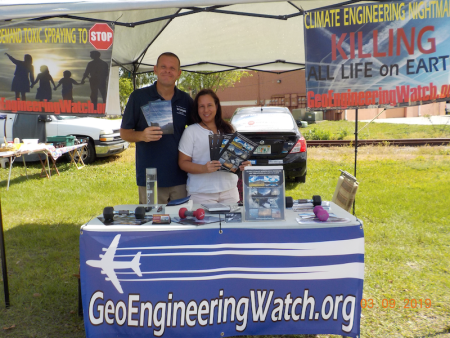 Attempting to make a difference for the better is a personal decision, it is a choice. 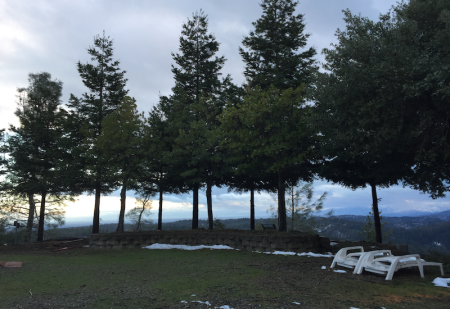 No matter how great the odds are against us, we are not beaten until we decide to be so. 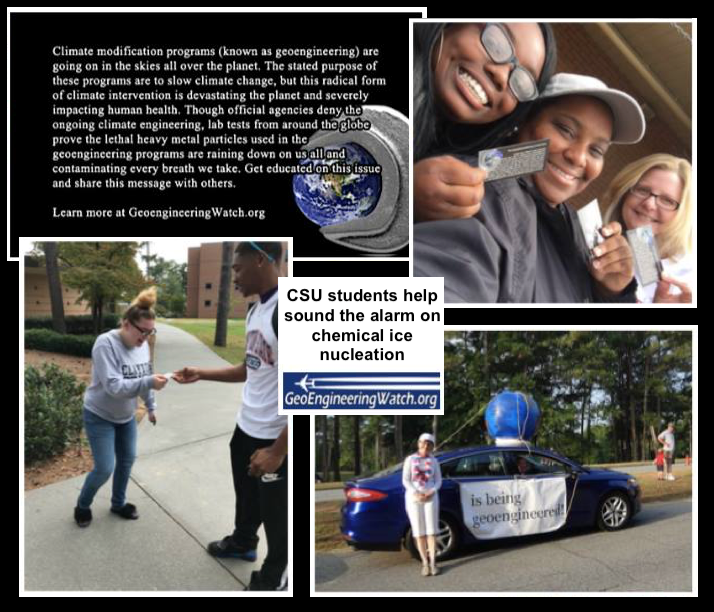 If we stand together in the dedicated and relentless effort to sound the alarm and to awaken global populations, we may yet accomplish profound good. 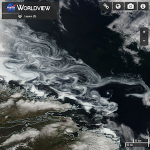 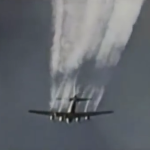 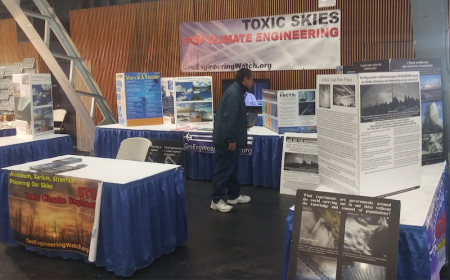 If we can expose climate engineering, we could stop it. If we can stop it, we would at least buy time. All of us are needed to do our part, share credible data from a credible source, make your voice heard. This week's GeoengineeringWatch.org outreach booth is at the Del Mar Fairgrounds, Del Mar, California, and is shown below. 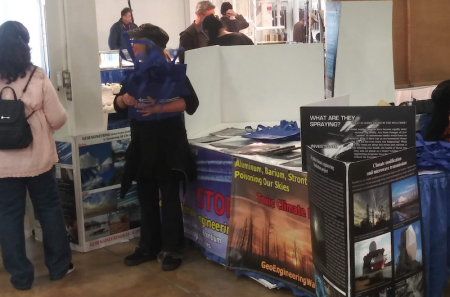 My most sincere and continuing gratitude to the Gem Faire exhibition organizers for facilitating and setting up this very effective booth in every week's Gem Faire location. 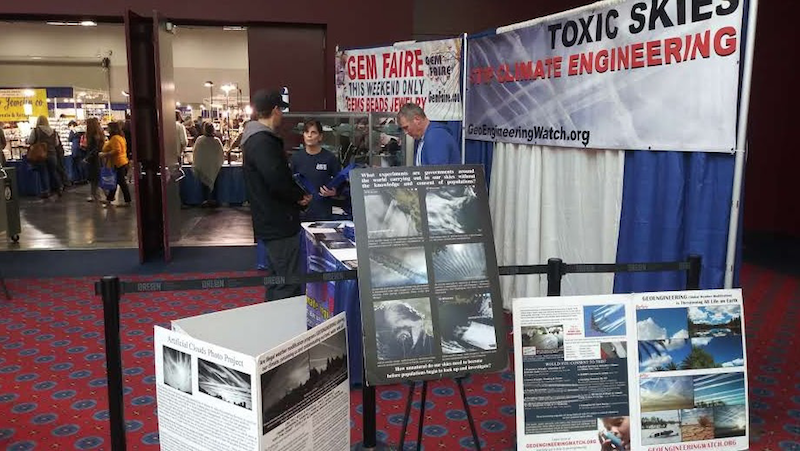 The schedule for upcoming Gem Faire events is HERE. 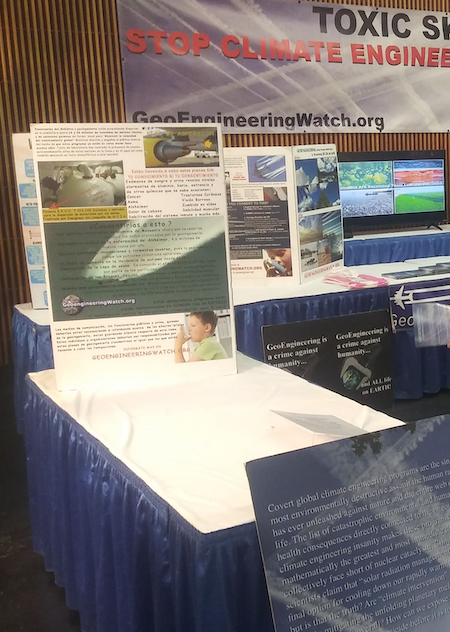 A geoengineeringwatch.org booth will be at all events, thanks to the steadfast support of Gem Faire. 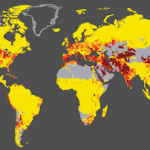 An undercurrent of concern is building within the ranks of populations. Though many are not yet willing to fully face reality, the resistance to it is finally beginning to break down on many fronts. 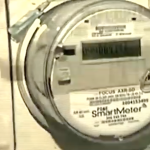 In the meantime, power structure desperation continues to accelerate. 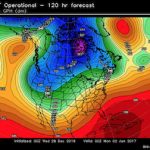 What will be their next major move on the wider horizon? 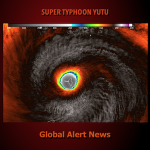 The latest installment of Global Alert News is below. 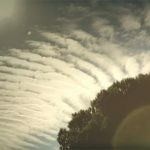 The day of climate engineering exposure draws ever nearer as such operations become all but impossible to hide any longer in plain sight. 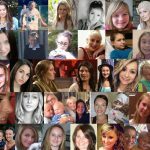 Now more than ever we need to keep our stride in the battle to raise awareness. Share credible data from a credible source, every day counts. 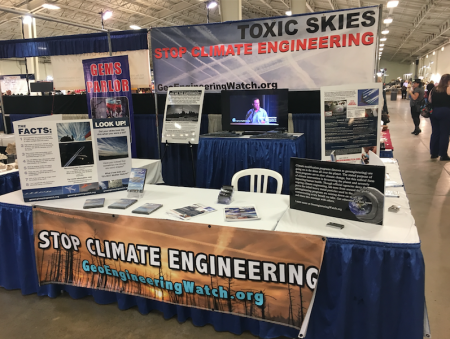 This week's GeoengineeringWatch.org outreach booth is at the OC Fair & Event Center, Costa Mesa, California, and is shown below. 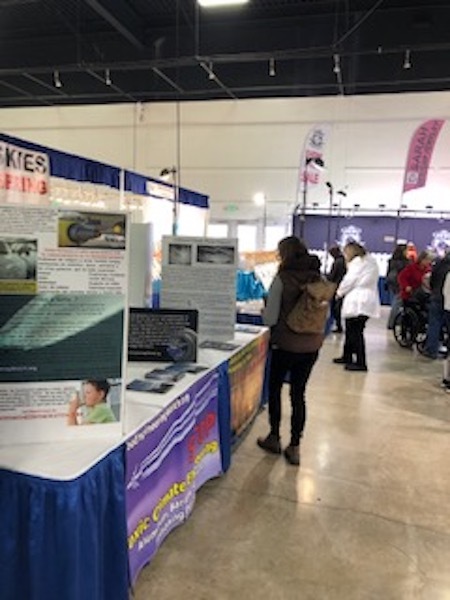 My most sincere and continuing gratitude to the Gem Faire exhibition organizers for facilitating and setting up this very effective booth in every week's Gem Faire location. 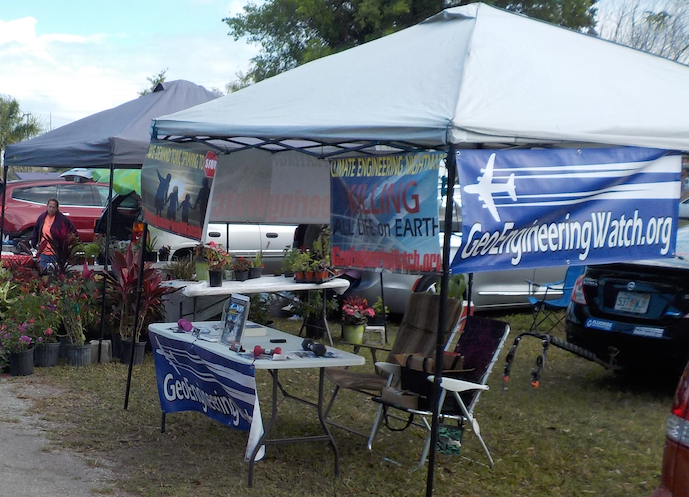 The schedule for upcoming Gem Faire events is HERE. 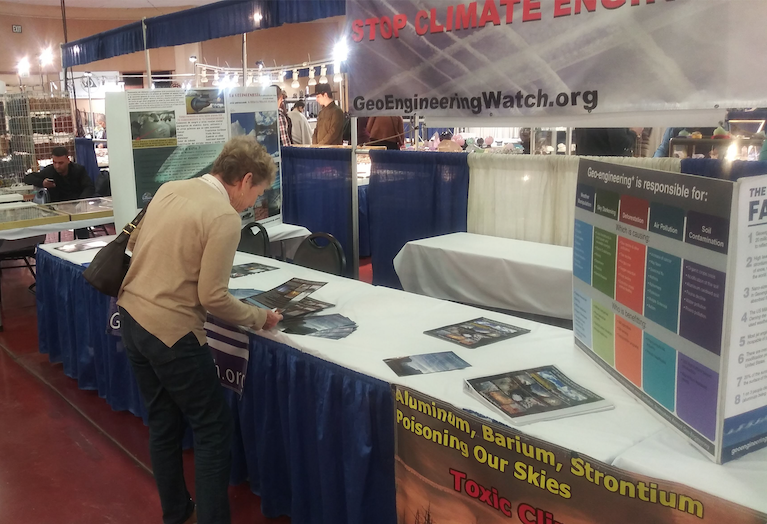 A geoengineeringwatch.org booth will be at all events, thanks to the steadfast support of Gem Faire. 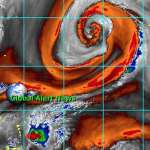 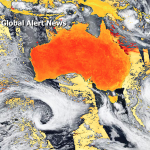 Erratic and unprecedented weather is radically increasing all over the world. Though there are countless forms of human activity affecting the equation, the global climate engineering assault is by far the single greatest and most destructive factor. 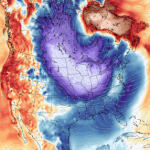 The geoengineers are manufacturing winter weather scenarios on a scale that can scarcely be comprehended, what will it take to wake populations to this fact? 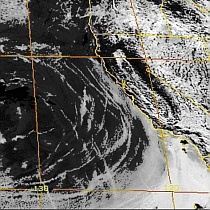 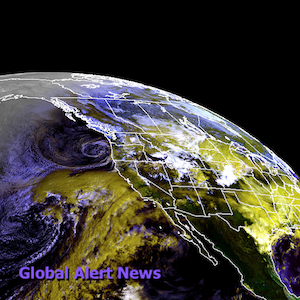 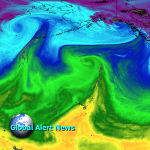 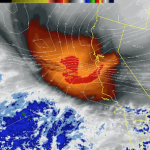 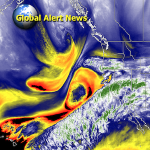 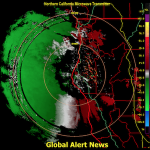 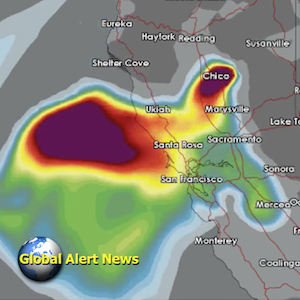 The short video report below covers the latest engineered winter weather event to impact California. 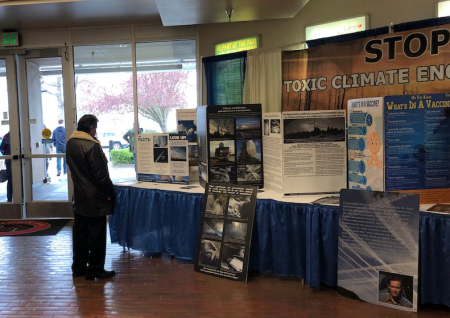 The photos below reveal the shockingly fast disappearance of the un-forcasted above freezing temperature “snowstorm” in Northern California. The image below was taken on the afternoon of February 13th, 2019, well over 2 feet of snow had just fallen. The snowfall began with air temperatures of 43 degrees. 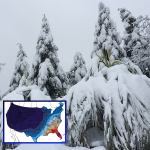 As the artificially nucleated “winter storm” progressed, the air temperatures eventually fell to the mid 30’s, but never got anywhere near the freezing point. 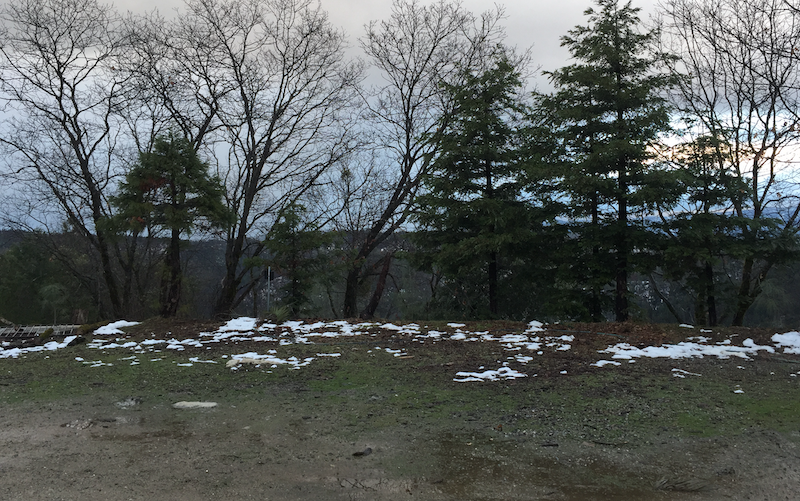 This photo (of the same scene as the above photo) was taken exactly 48 hours after the far above freezing temperature “winter snow storm”. 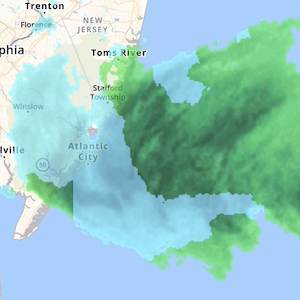 Below is another image of the 2 foot plus surprise snowfall (at above freezing temperatures) that was not forecasted by local meteorologists. Climate engineering operations continue to intensify around the world, as are unprecedented weather related catastrophes. The environment is not the only thing that is collapsing, the days of the US dollar dominated world are now numbered. 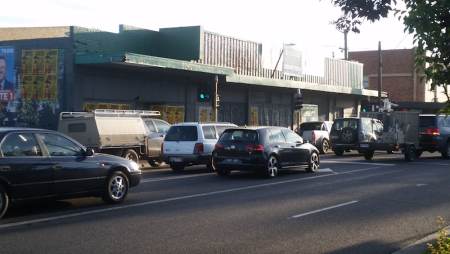 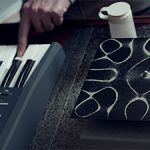 What are the ramifications? 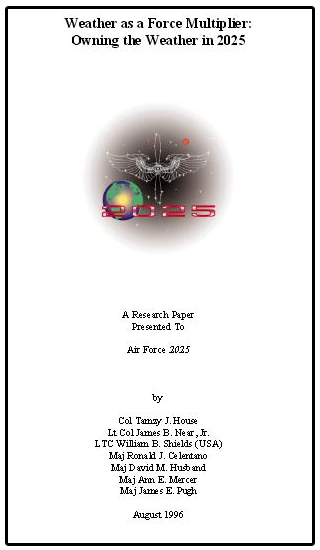 How desperate will the world's largest military become? 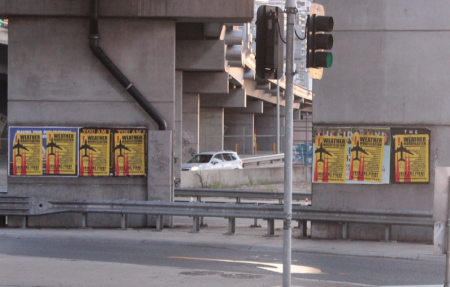 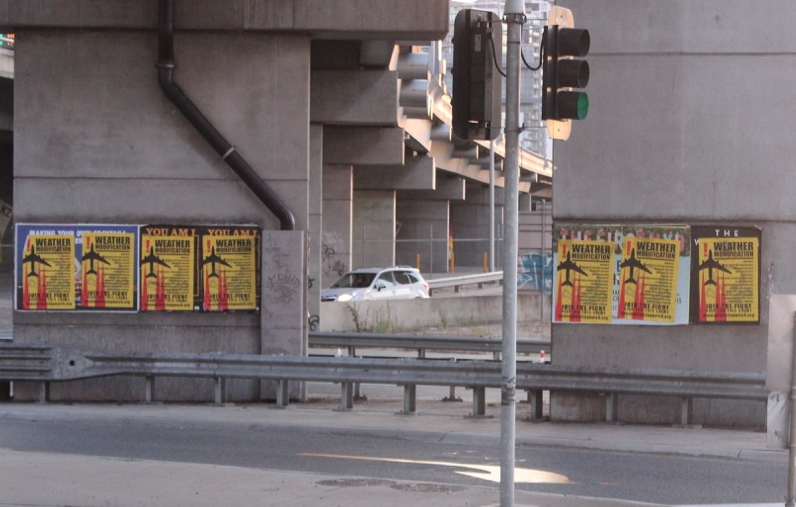 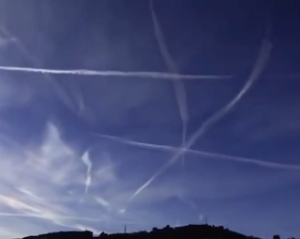 Why are swarms of military helicopters overrunning LA? 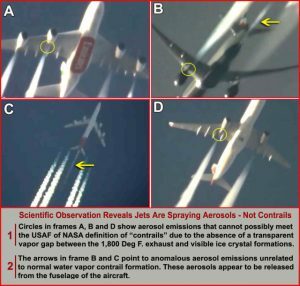 A new “science study” concludes that planes passing through clouds miraculously produce up to 10 times more rain or snow, while simultaneously and radically lowering precipitation temperatures. 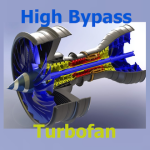 The same study also tries to assure us that such profound effects have absolutely nothing to do with any emissions from the aircraft itself. 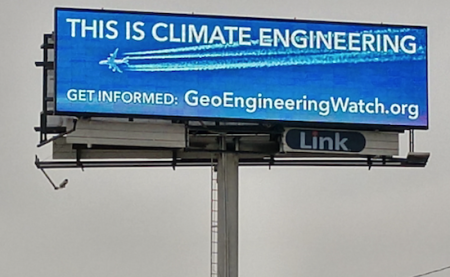 Are we really expected to believe this? 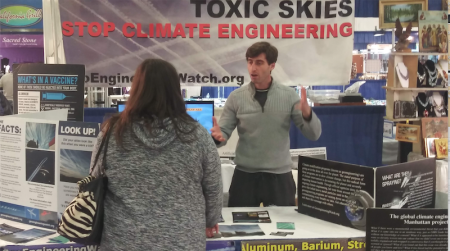 How long will academicians continue to cover the tracks of the climate engineers? 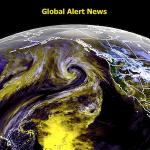 The latest installment of Global Alert News is below. Though the sand in the hourglass continues to run down, ever more catastrophic environmental conditions are finally forcing more to wake up and face reality. 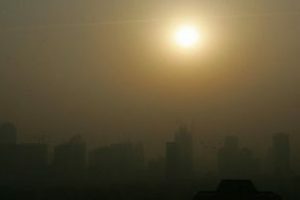 Those who are already awake are desperately needed to stoke the fires of awareness. 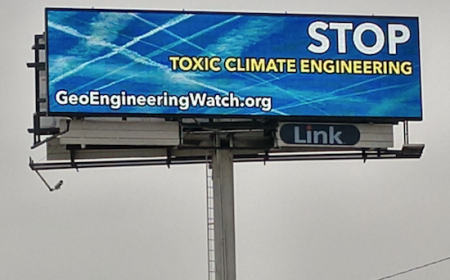 Every day counts, share credible data from a credible source, make your voice heard. Battle fatigue has taken its toll on countless caring activists, but though we are understandably tired, we must summon the strength to maintain our efforts to sound the alarm. 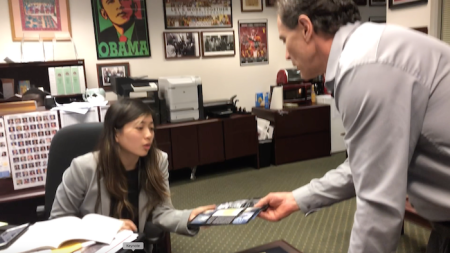 Circulating compelling printed materials can help to overcome the increasing social media censorship. 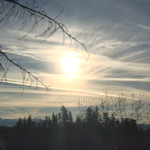 Share credible data from a credible source, we must make every day count. 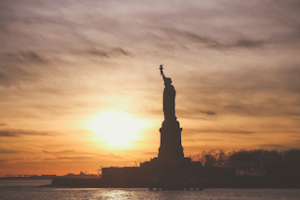 The normalcy bias of the US population (and populations of other nations) must be broken down, this is the first and most important leap toward fully facing reality. 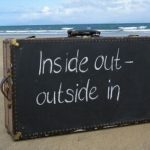 Only by facing the truth do we have any chance of correcting the current course of self-destruction we are on. 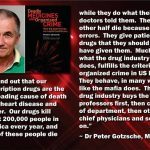 How do we effectively wake those that are as of yet unaware? 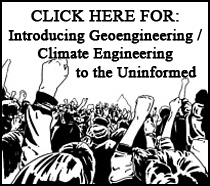 Sharing credible data from a credible source is essential, the effort to sound the alarm will take all of us. 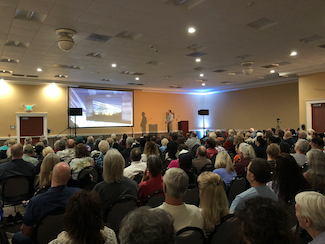 Our deepest thanks to anti-geoengineering activist Brian N. for his latest Geoengineering Watch informational table at the Semi Valley library, Semi Valley (1/4/19), shown in the photo below. 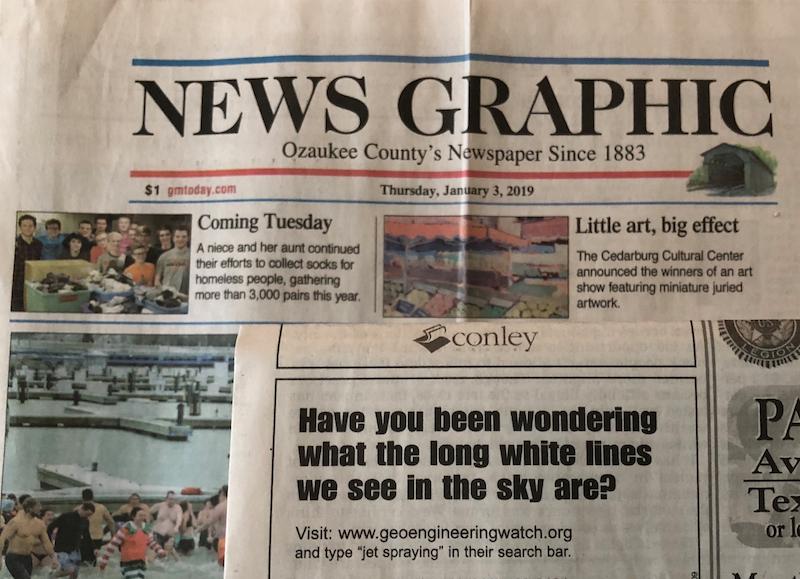 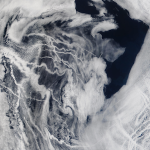 Geoengineering Watch wishes to thank Laura Kozicki for her ongoing efforts to sound the alarm in Wisconsin. 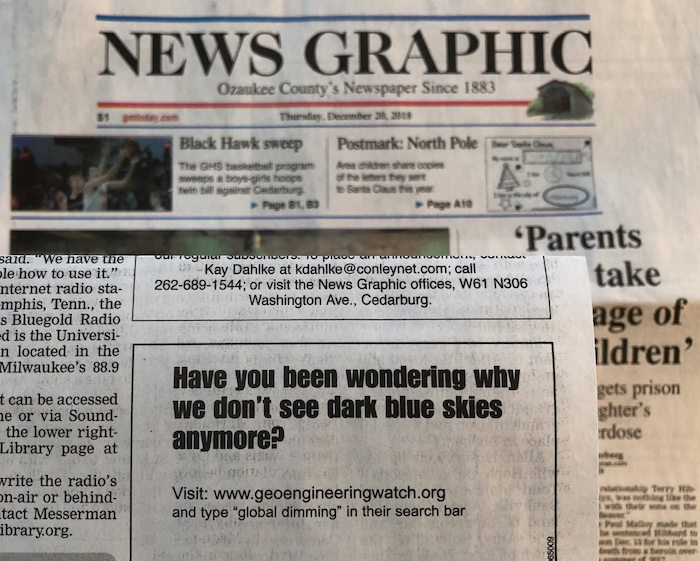 This most recent newspaper ad shown was placed by Laura in the Ozaukee County Newspaper on December 27th, 2018. 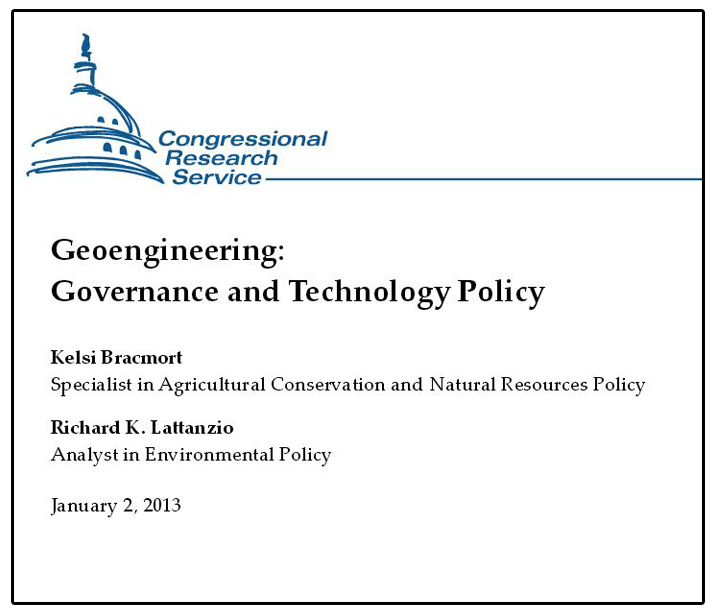 The latest and most comprehensive presentation yet from GeoengineeringWatch.org is posted below for those that have not yet seen it (posted January 1st, 2019). Science studies on human psychology conclude that “social solidarity serves as a kind of defense mechanism against destructive (blind and unwarranted) obedience to authority”. 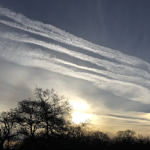 Can we reach a critical mass of awareness in time? 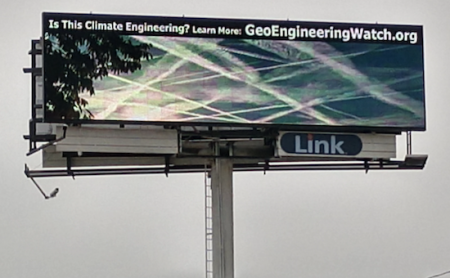 Sharing credible data is a key factor in regard to waking others to the truth, make your voice heard. 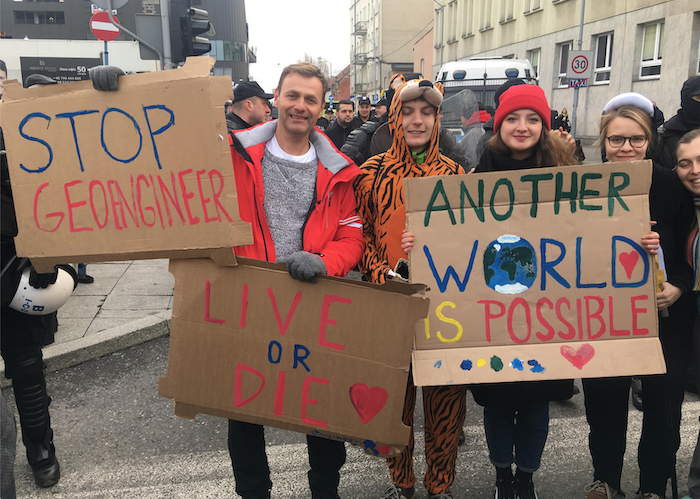 To those that are awake, aware, and dedicated to sounding the alarm for the greater good, we must summon the courage to march with our efforts on in spite of the resistance from others. 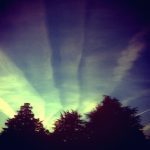 This time is like no other in human history, reality on countless fronts cannot be hidden for much longer. 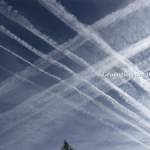 If by our collective efforts we can expose and halt the climate engineering insanity before the power structure is ready for that to occur, we would have a chance of salvaging some part of our living planet. 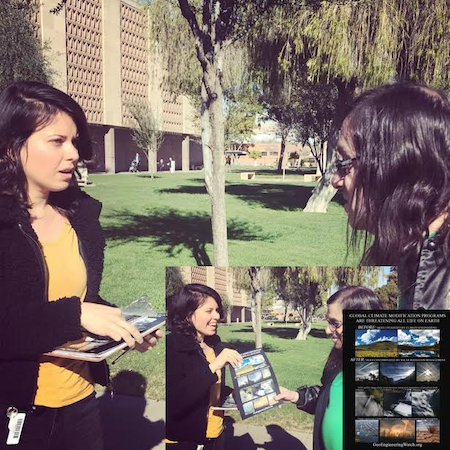 Never give up, share credible data from a credible source. 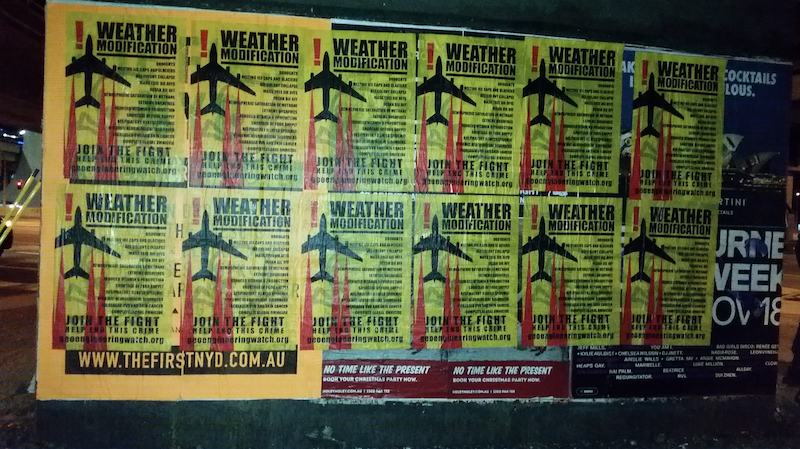 Reaching a critical mass of awareness is the only way forward in this fight, make your voice heard.heard. 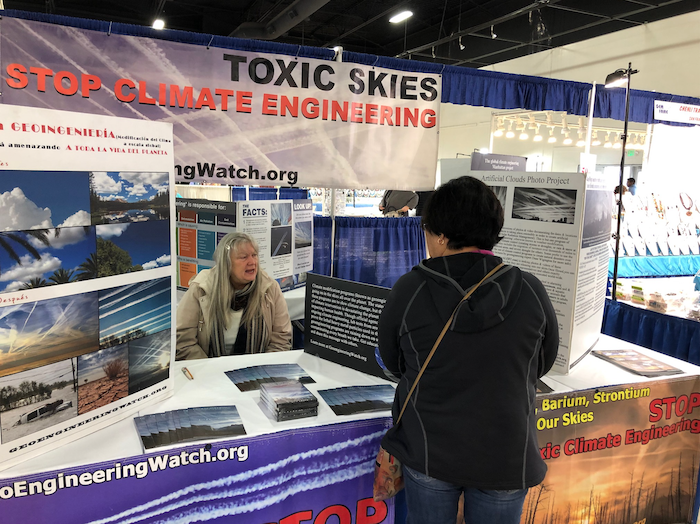 No matter how increasingly unnatural our skies become, there is still no official acknowledgment of climate engineering. 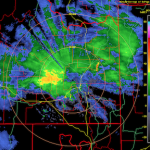 The National Weather Service last week admitted they had no idea of what they were seeing on their radar screen, is this really the truth? Or are there some in the National Weather Service that are trying to covertly sound the alarm? 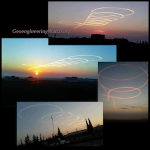 Exactly how out of control is the military industrial complex? 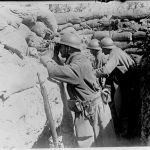 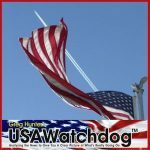 How long has the military industrial complex been selling itself as being a pillar of the “greater good”? The latest installment of Global Alert News is below. 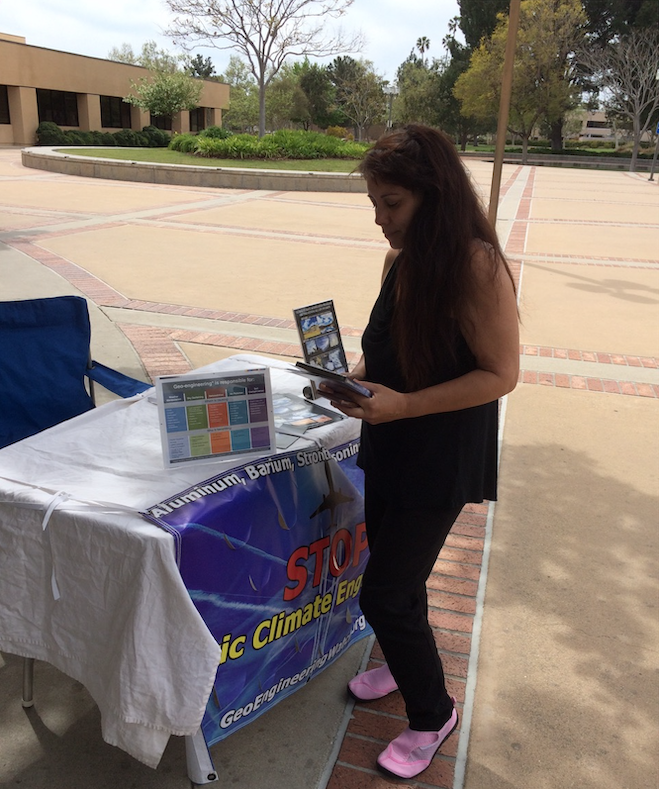 Can a significant percentage of the population break their programmed denial in time to make a difference? 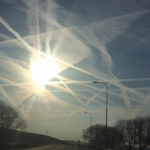 Are those who are already awake willing to continue with their efforts to wake those that are still unaware of what is unfolding? 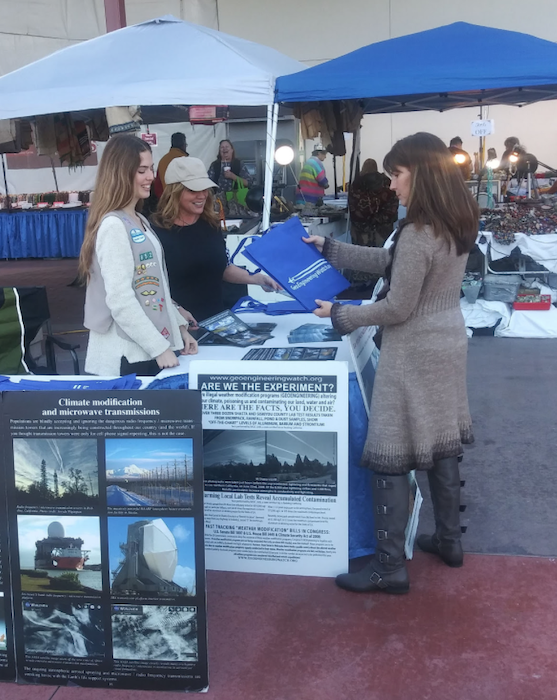 We can collectively make a difference, we need only to dedicate ourselves to doing our individual part. 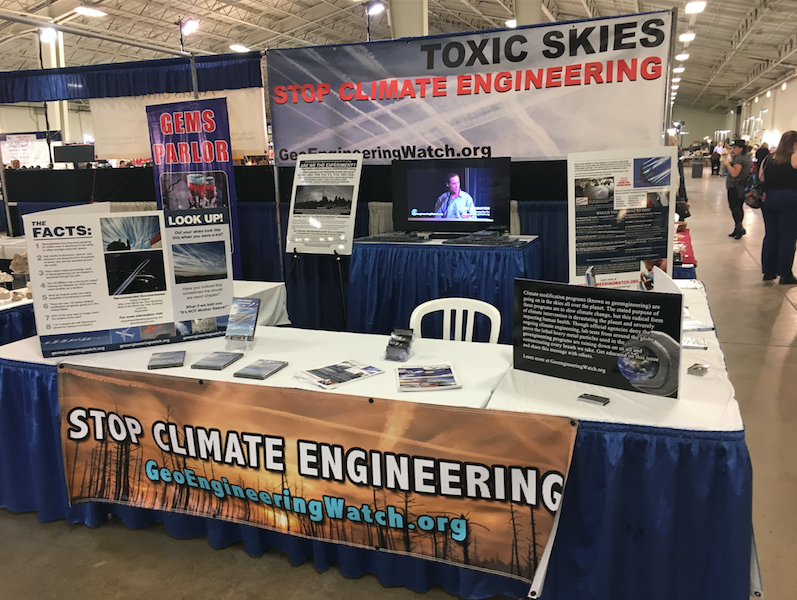 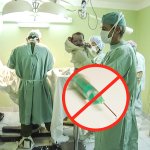 Detailed activist instructions can be found on the homepage of GeoengineeringWatch.org, along with our most current awareness raising materials. 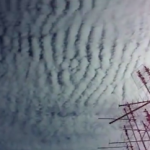 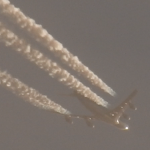 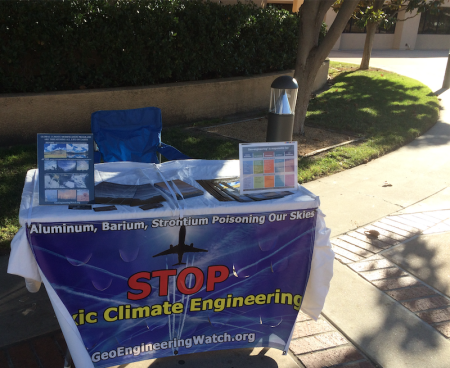 If we can expose the climate engineering insanity, we can stop it, make your voice heard. 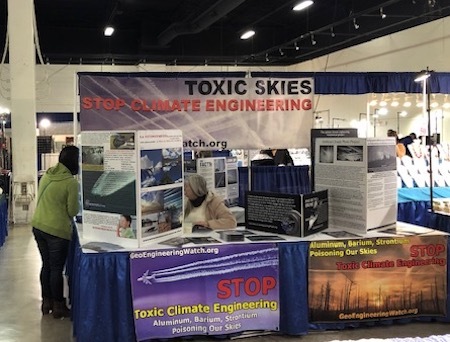 Our sincere thanks to Radovan Dluhy and his students for their efforts to sound the alarm on the geoengineering issue at the Katowice Climate Change Conference (COP 24) that just took place in Katowice, Poland. 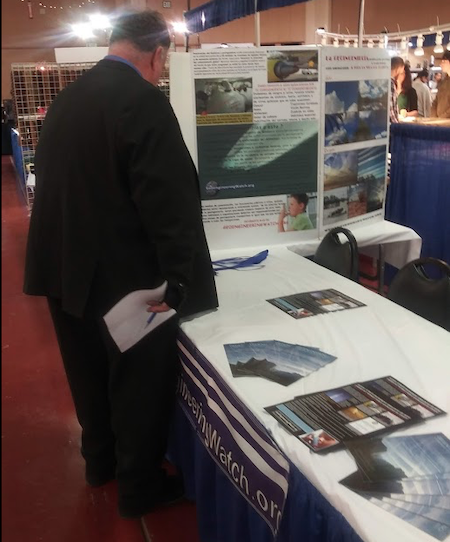 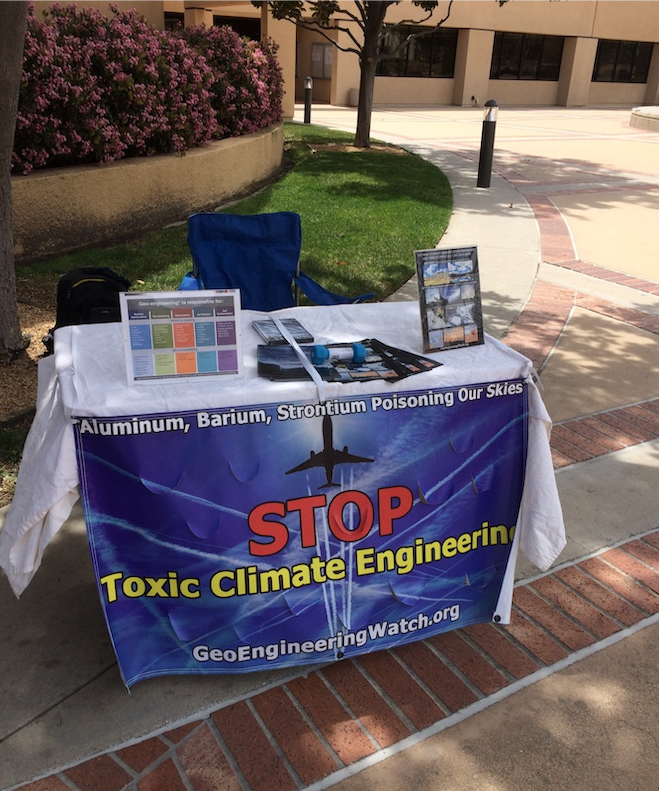 This week's GeoengineeringWatch.org outreach booth is at the Scottish Rite Event Center, San Diego, California, and is shown below. 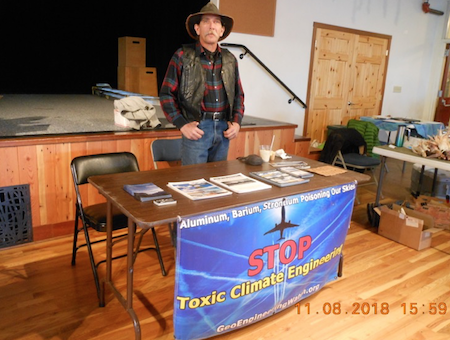 My most sincere and continuing gratitude to the Gem Faire exhibition organizers for facilitating and setting up this very effective booth in every week's Gem Faire location. The schedule for upcoming Gem Faire events is HERE. A geoengineeringwatch.org booth will be at all events, thanks to the steadfast support of Gem Faire. Geoengineering Watch wishes to express our most sincere gratitude to Maciej Kocialkowski for his tireless work toward raising awareness on the critical issue of climate engineering. 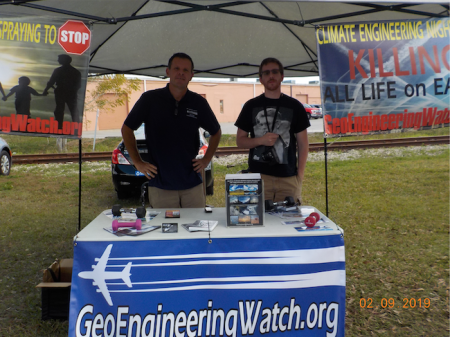 The geoengineering awareness booth in the photos below was set up at the Historical Train Depot farmers market in Punta Gorda, Florida (12/8/18). 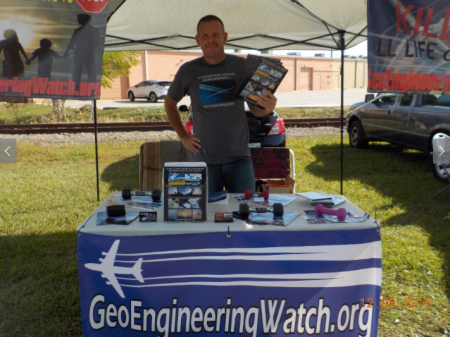 Maciej has also translated GeoengineeringWatch.org flyers into Polish and personally distributed them in his homeland of Poland. 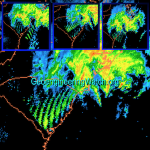 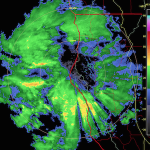 Geoengineering Watch has again captured radar animations that prove geoengineering operations are manufacturing “winter weather” over specific regions. 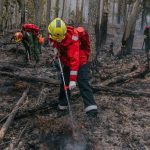 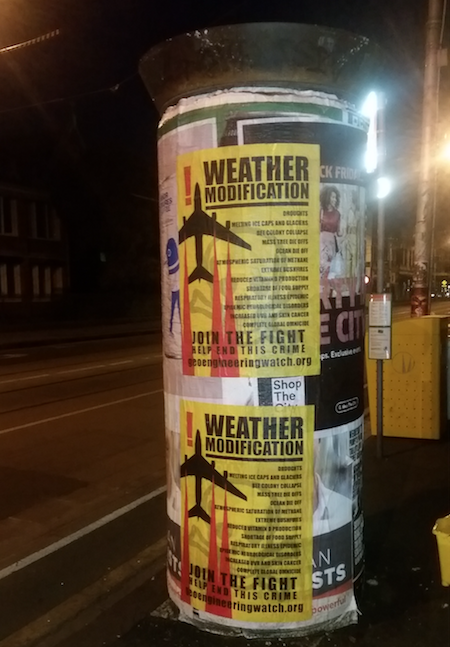 The increasingly desperate and destructive operations being carried out by the weather-makers is far beyond alarming. 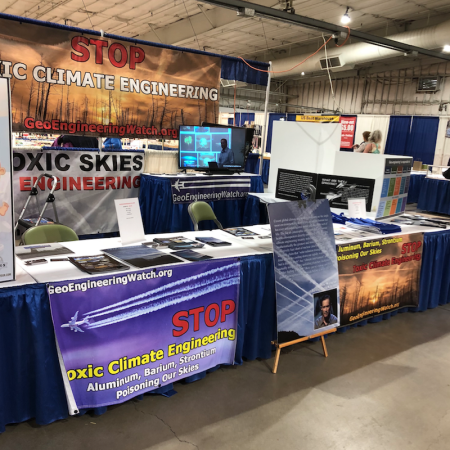 Engineering “winter weather" events are one of the primary missions of the climate engineers as the abrupt climate collapse scenario continues to unfold on planet Earth (a scenario being further fueled overall by climate engineering itself). 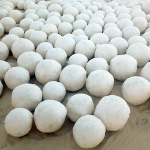 Patented processes of chemical ice nucleation are a primary means of carrying out the engineered winter events. 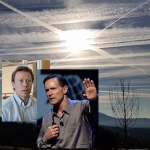 Why aren't so called weather experts willing to acknowledge the massive climate engineering operations and their impacts? Because their paychecks and pensions depend on their denial, the illegal federal gag order on all National Weather Service (NWS) and all National Oceanic and Atmospheric Administration (NOAA) employees is a case in point. 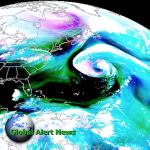 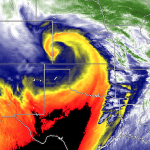 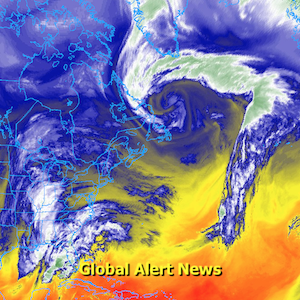 The 5 minute video below exposes the impacts of ongoing engineered winter scenarios. 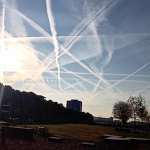 It is imperative that populations be awakened to the climate engineering operations. 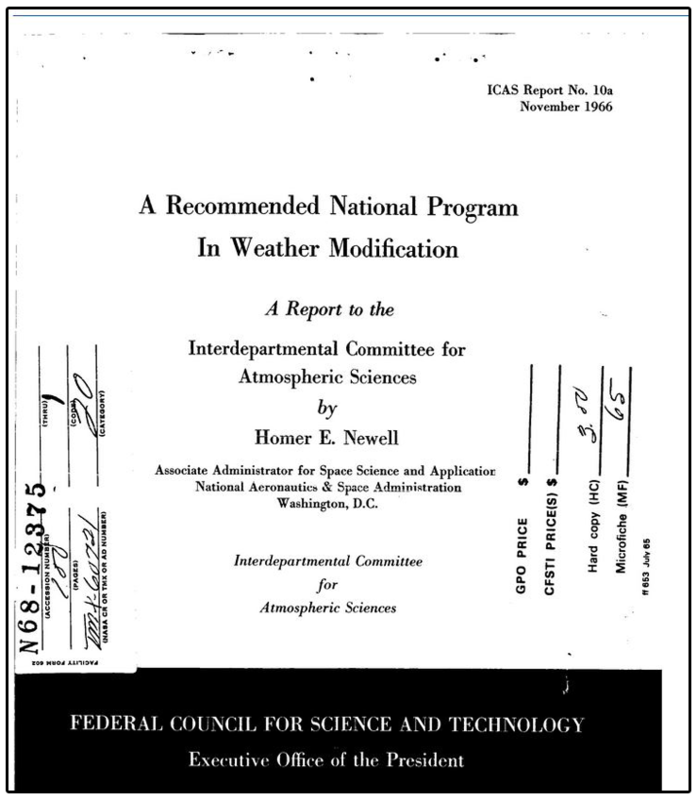 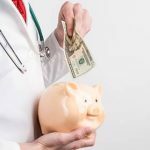 It is just as important that the full scope and scale of these programs are understood. 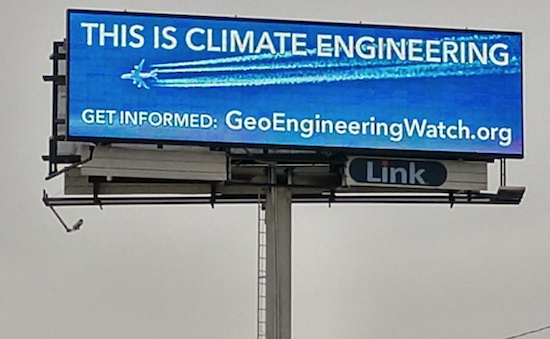 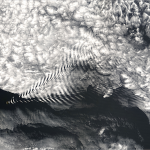 There can be no valid discussion of the climate without addressing the climate engineering issue. Equally true, there can be no legitimate discussion of climate engineering without addressing chemical ice nucleation processes and the engineered winter events these processes help to create. All of us are needed in the essential effort to raise and reach a critical mass of awareness. 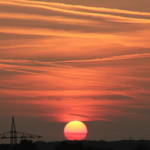 Share credible data from a credible source, make every day count. 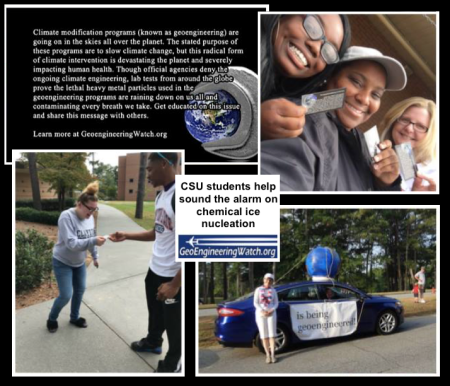 As the warning alarms increasingly go off around the world, how many are willing to put all the effort and energy they can spare into the fight for the greater good? 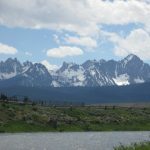 No matter what others do or don’t do, each of us are only responsible for ourselves and what we do with our own free will. 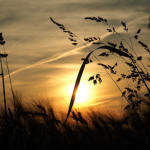 All are needed in the critical battle to wake populations to what is unfolding, we must make every day count. 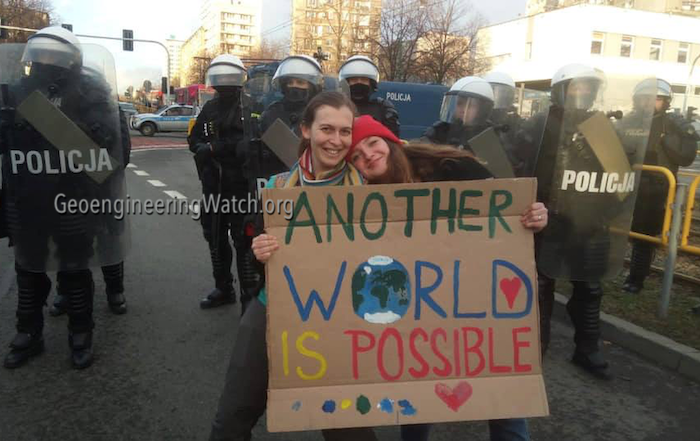 No matter how daunting the challenges are that we collectively face, giving up is never an option. Our combined efforts can make a difference even at this late hour, waking the masses is the first and most critical leap in the right direction. Share credible data from a credible source, make your voice heard, make every day count. 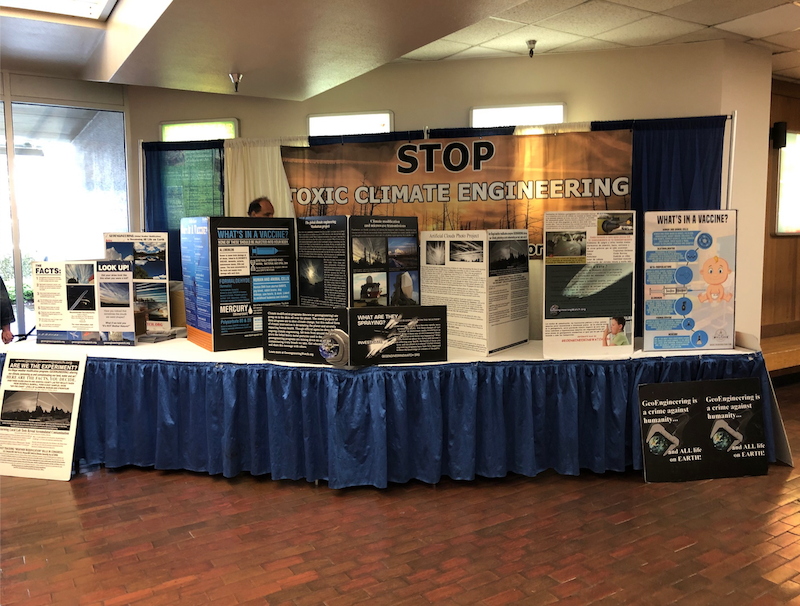 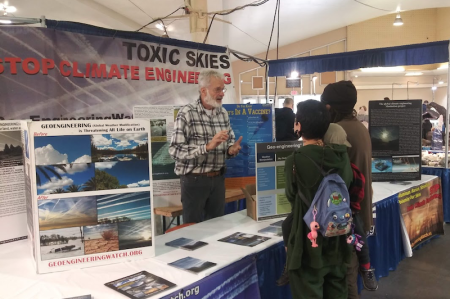 This week's GeoengineeringWatch.org outreach booth is at the Monterey County Fairgrounds, Monterey, California, and is shown below. 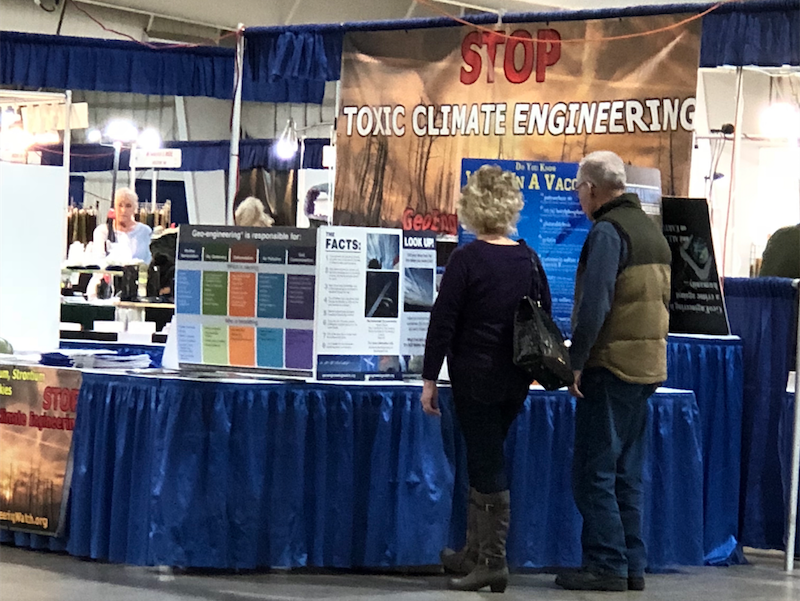 My most sincere and continuing gratitude to the Gem Faire exhibition organizers for facilitating and setting up this very effective booth in every week's Gem Faire location. 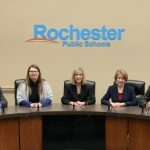 The schedule for upcoming Gem Faire events is HERE. 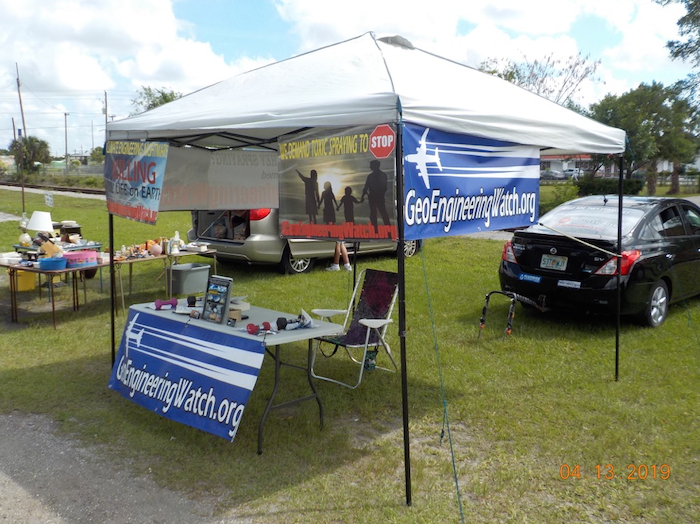 A geoengineeringwatch.org booth will be at all events, thanks to the steadfast support of Gem Faire. 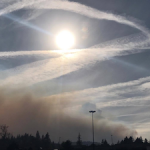 Even with the proverbial tidal wave of converging catastrophes looming over our collective heads, so many continue to double down on denial and apathy. 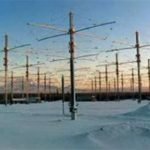 How long can such behavior be maintained? 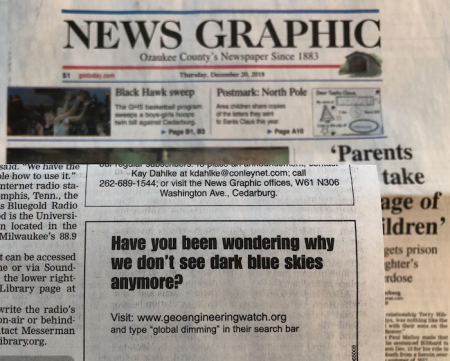 We will soon enough find out. 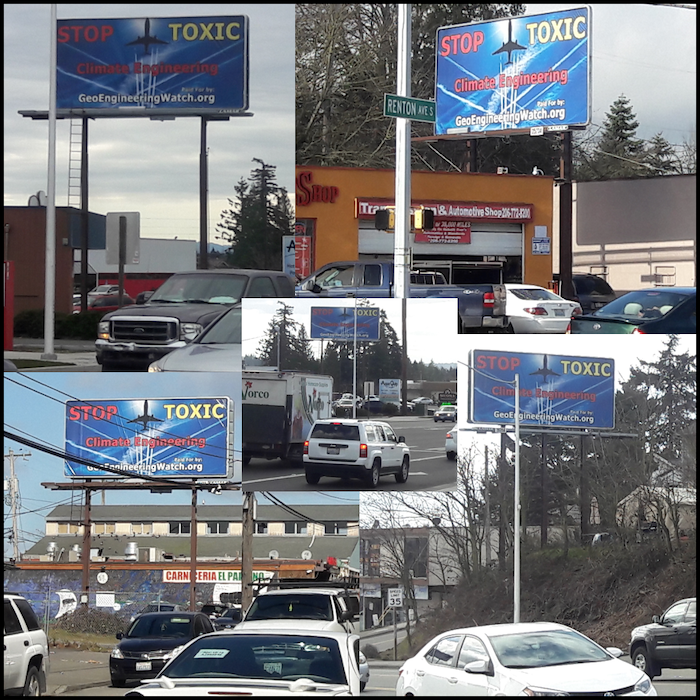 In the meantime, each and every one of us are desperately needed to do our part in the critical battle to wake the masses. 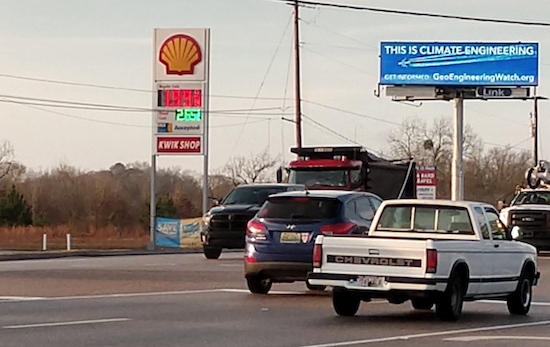 Sharing credible data from a credible source is essential, make your voice heard. 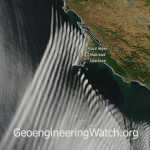 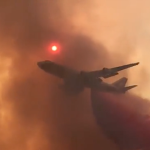 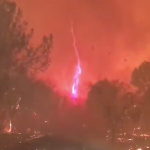 This 30 second time-lapse video captures massive climate engineering operations spraying over California's smoke filled skies. 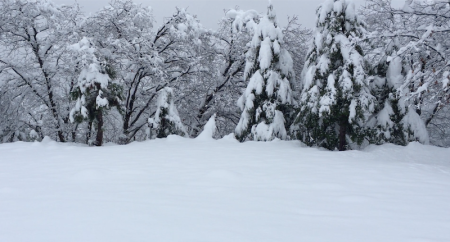 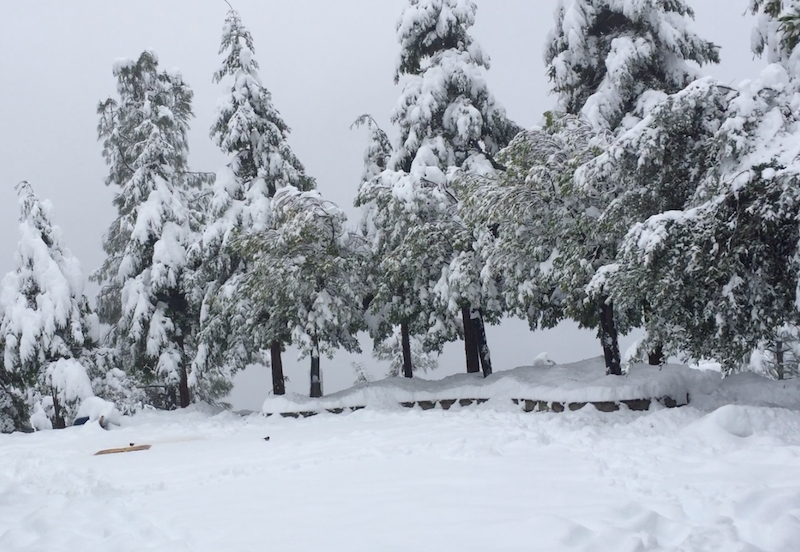 It was filmed on November 14th from our mountaintop home in Shasta County. 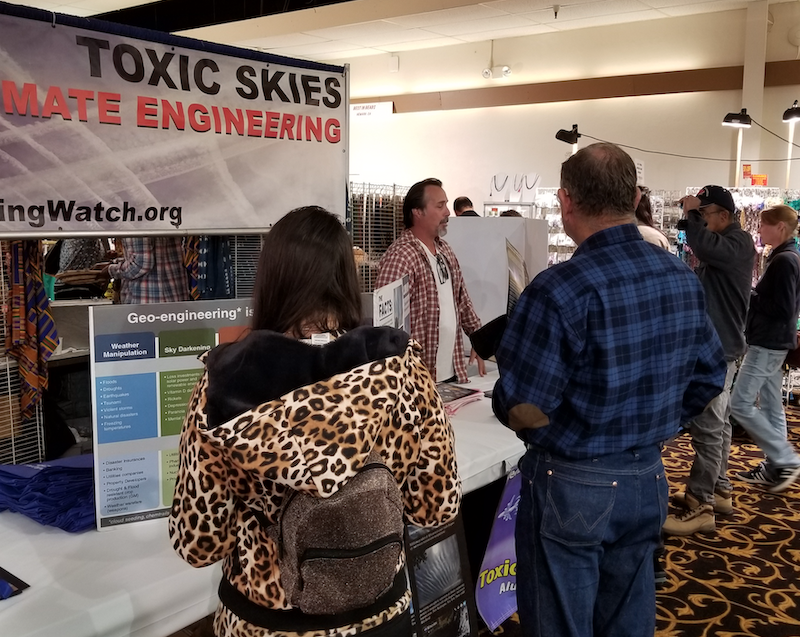 We are not only breathing highly toxic smoke, we are also inhaling untold amounts of highly toxic climate engineering fallout. 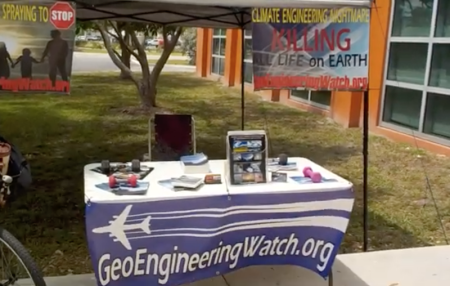 Geoengineeringwatch.org wishes to express our deepest gratitude to Australian activists for all their work toward raising climate engineering awareness in Australia (11/11/18). 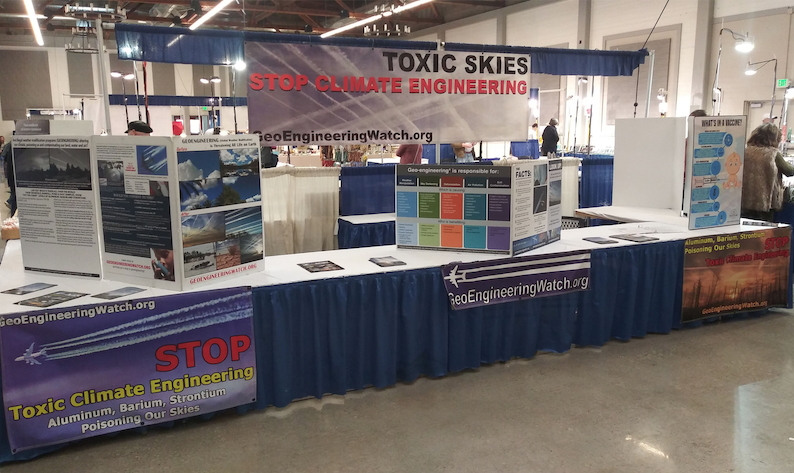 This week's GeoengineeringWatch.org outreach booth is at the Oregon Convention Center, Portland, Oregon, and is shown below. 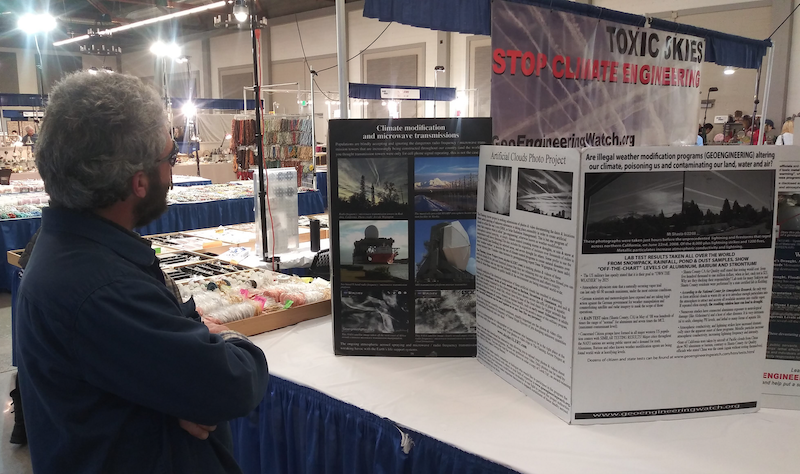 My most sincere and continuing gratitude to the Gem Faire exhibition organizers for facilitating and setting up this very effective booth in every week's Gem Faire location. 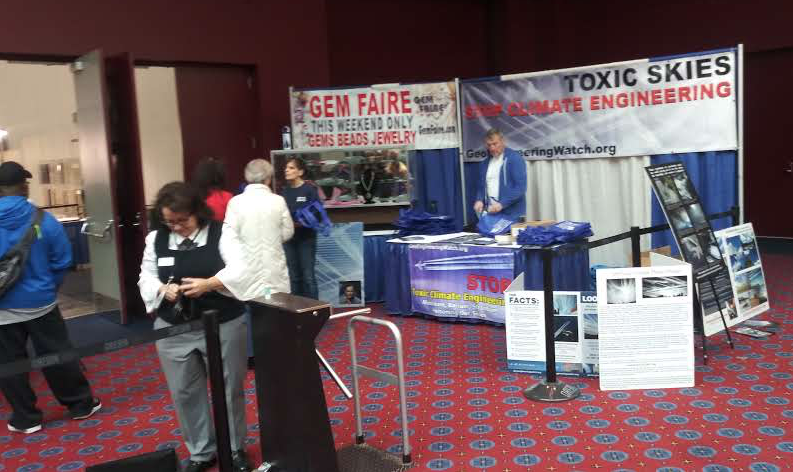 The schedule for upcoming Gem Faire events is HERE. 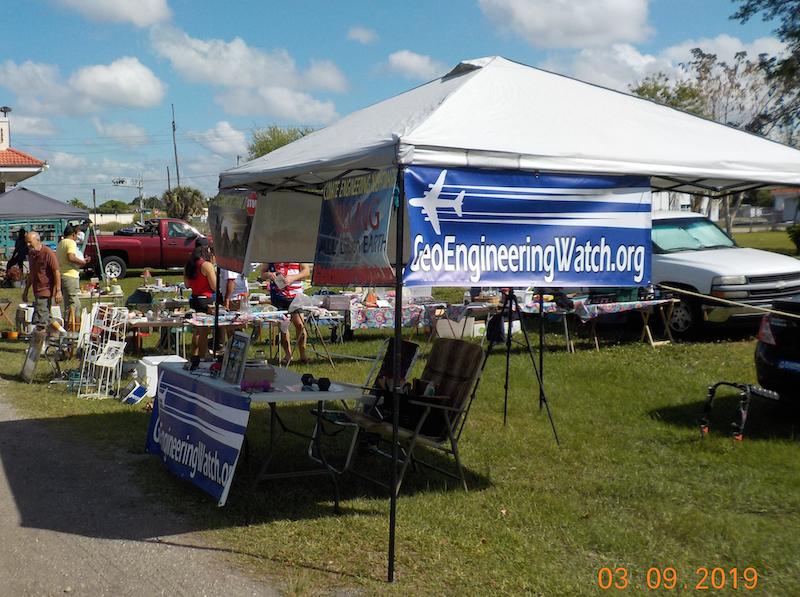 A geoengineeringwatch.org booth will be at all events, thanks to the steadfast support of Gem Faire. 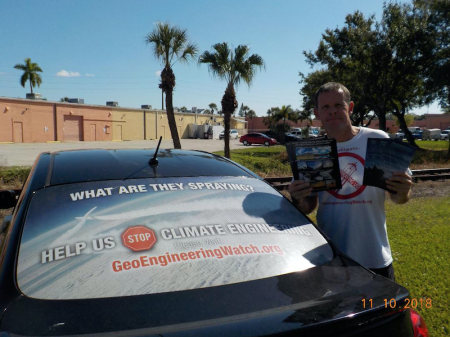 Geoengineering Watch wishes to express our most sincere gratitude to Maciej Kocialkowski for his tireless work toward raising awareness on the critical issue of climate engineering. 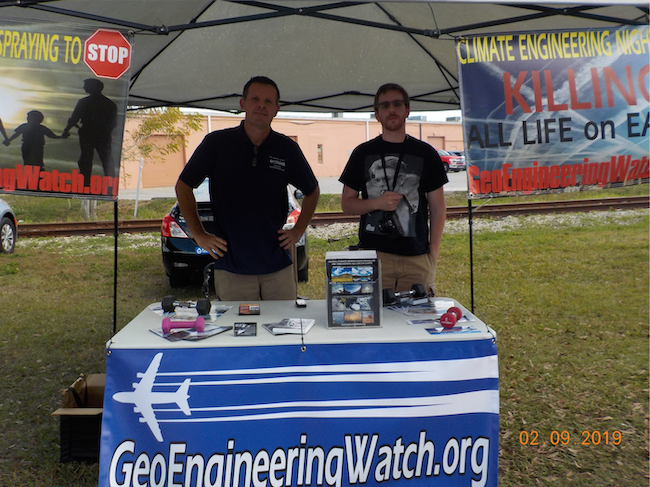 The geoengineering awareness booth in the photos below was set up at the Historical Train Depot farmers market in Punta Gorda, Florida (11/10/18). Maciej has also translated GeoengineeringWatch.org flyers into Polish and personally distributed them in his homeland of Poland. 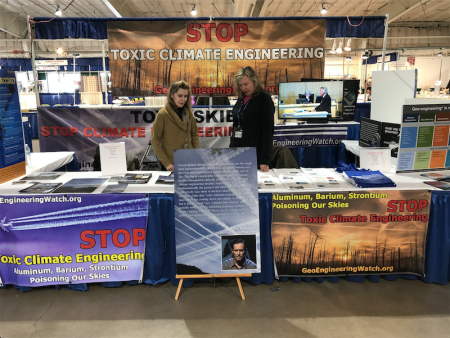 Our thanks to Mike Torrence for continuing with his efforts to raise awareness at the Tonasket farmer's market in Washington State (11/8/18).